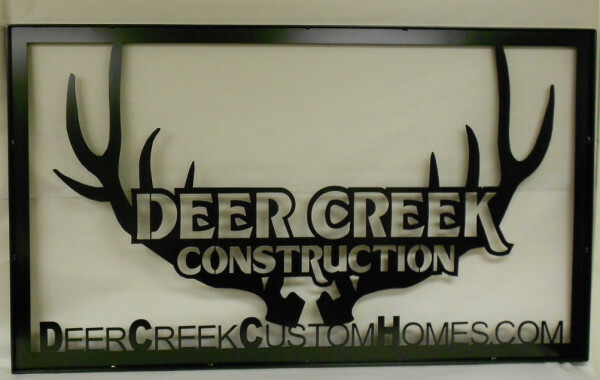 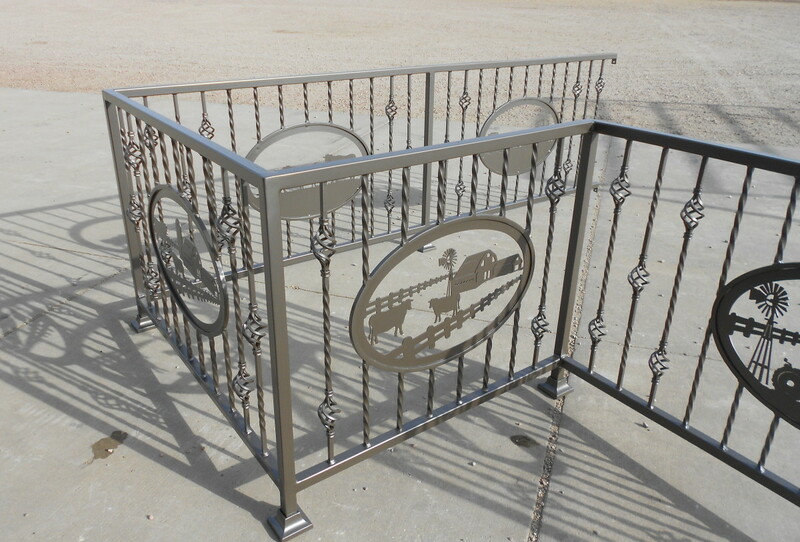 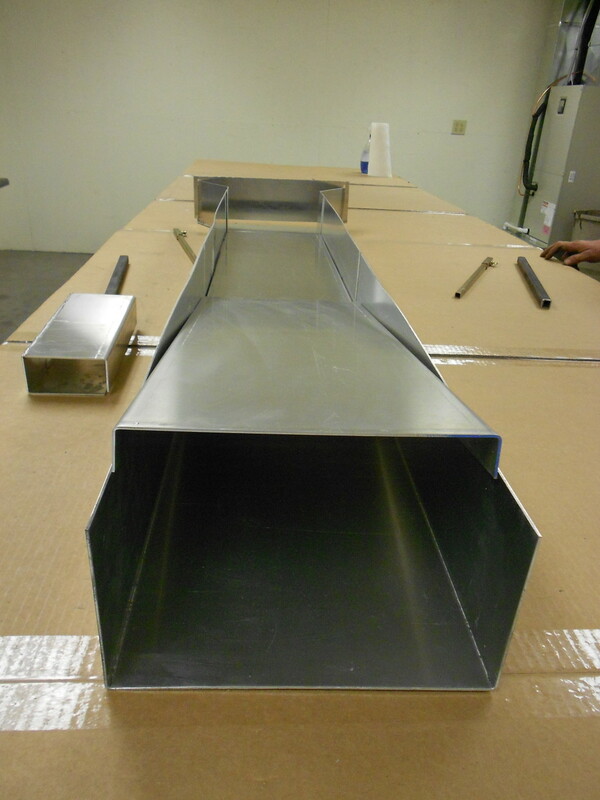 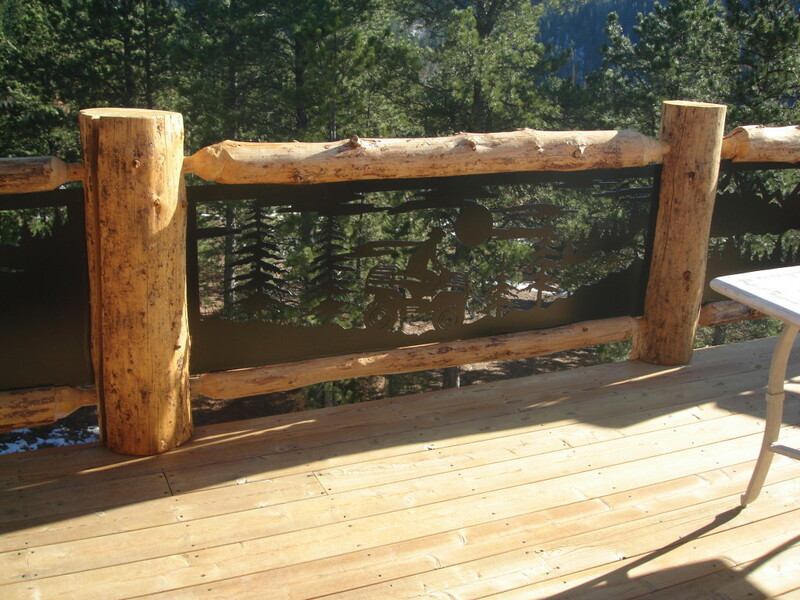 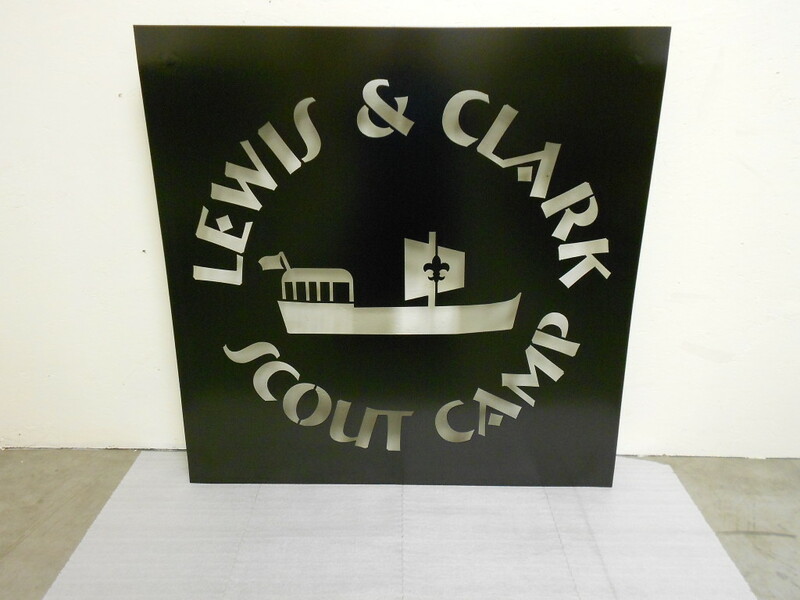 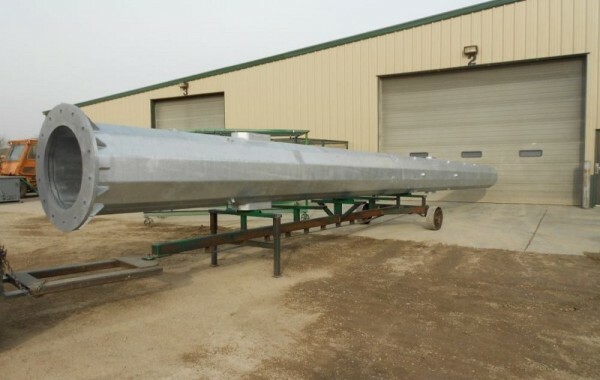 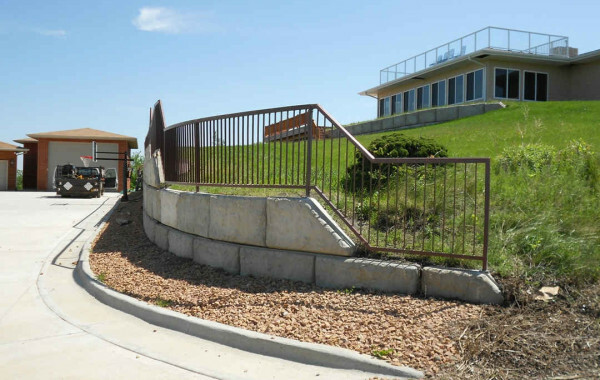 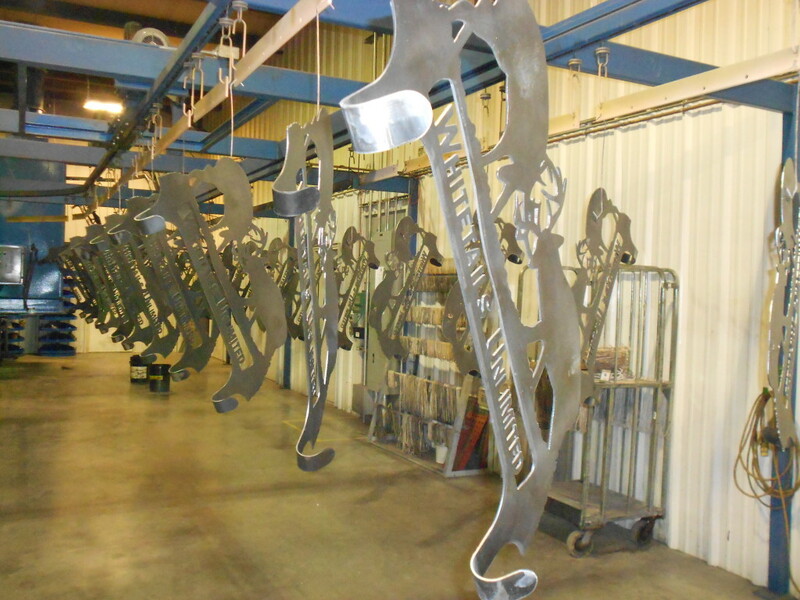 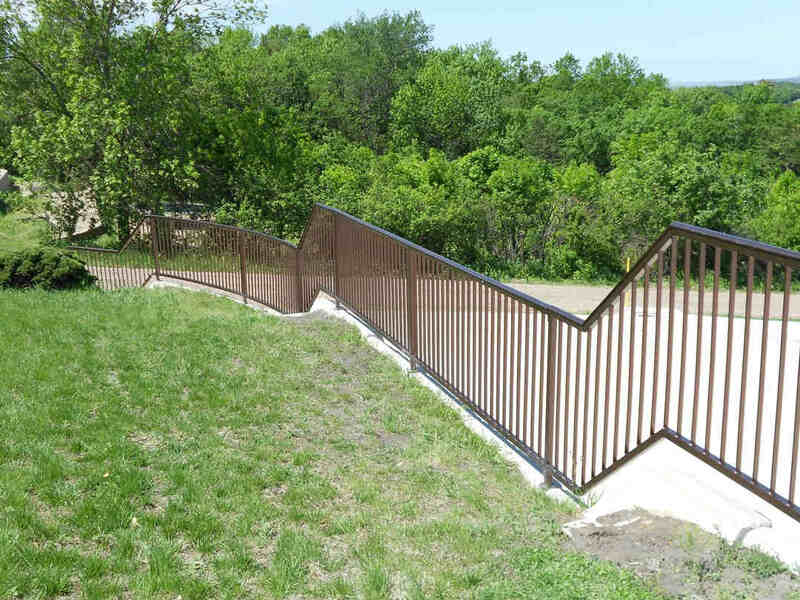 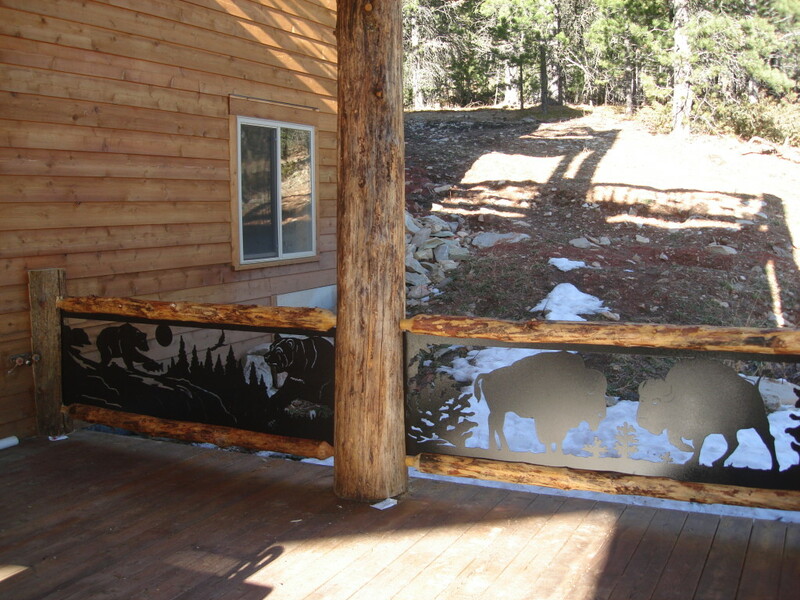 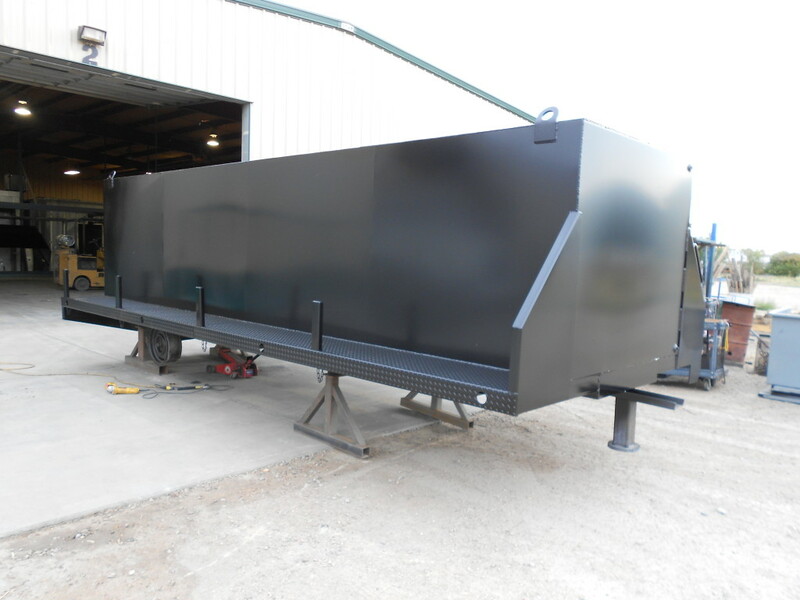 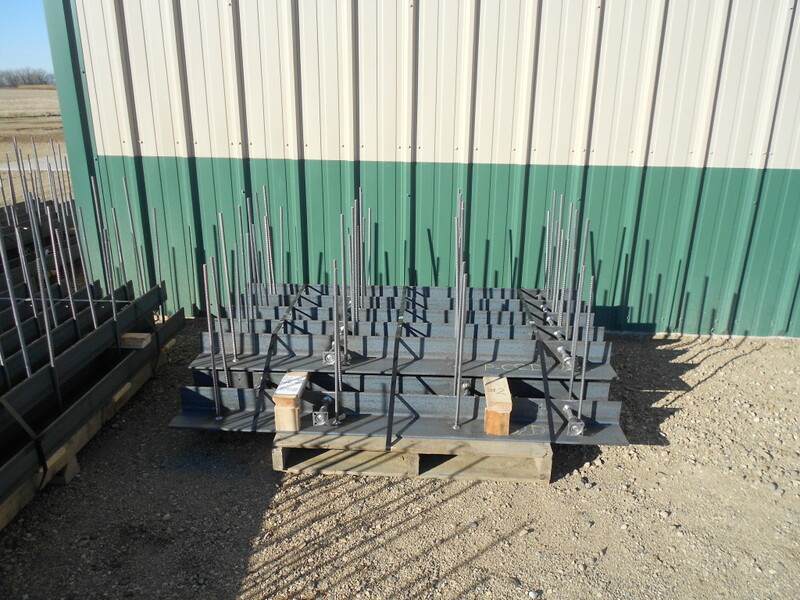 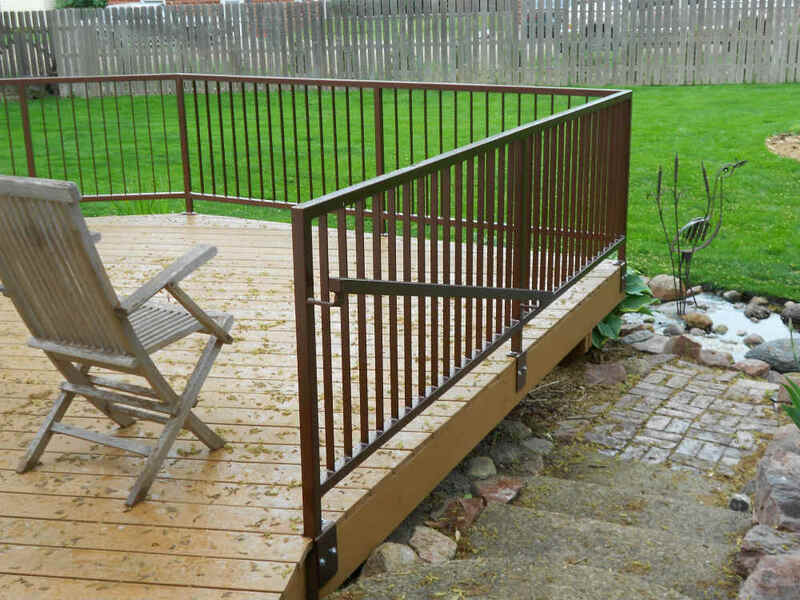 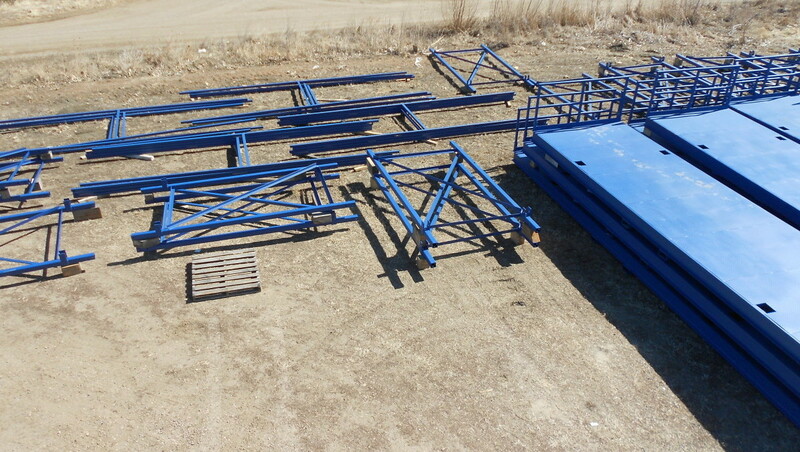 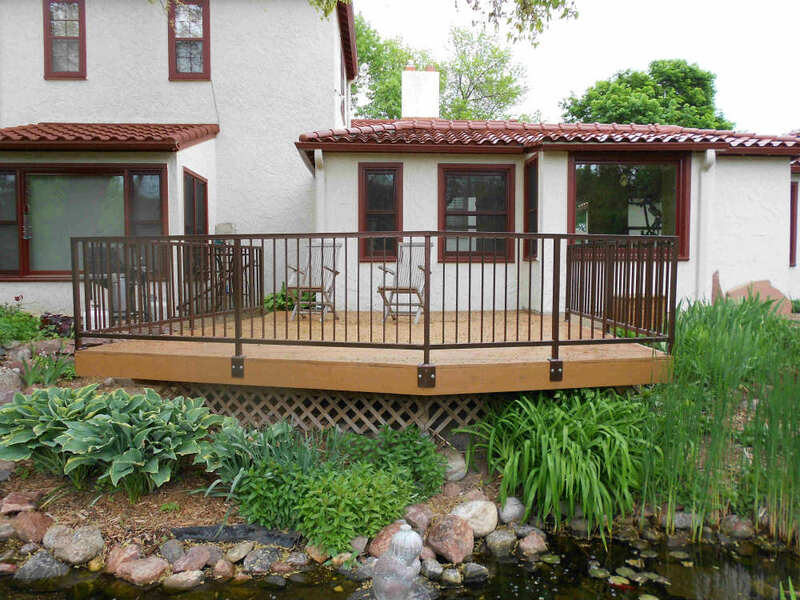 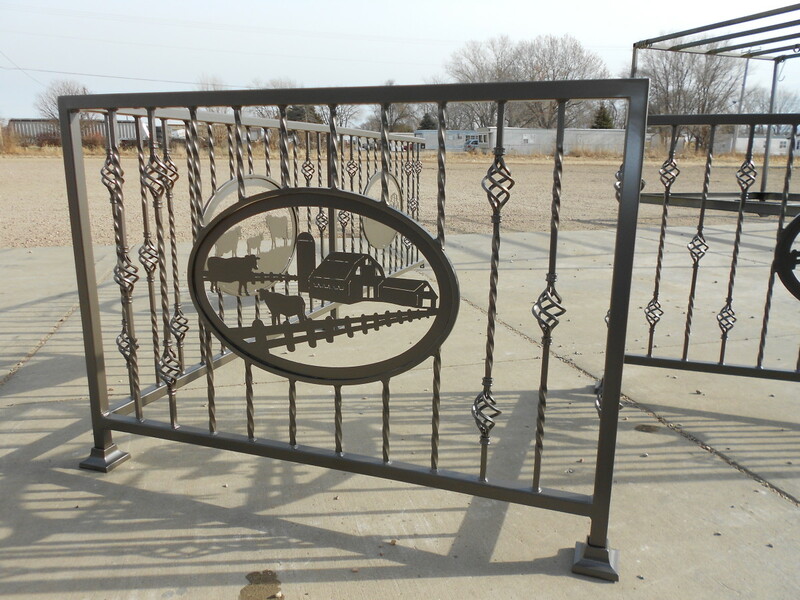 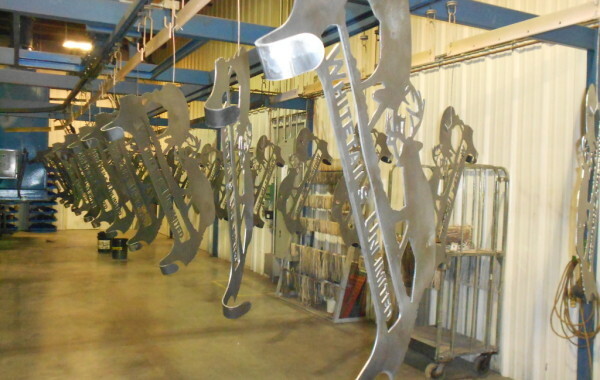 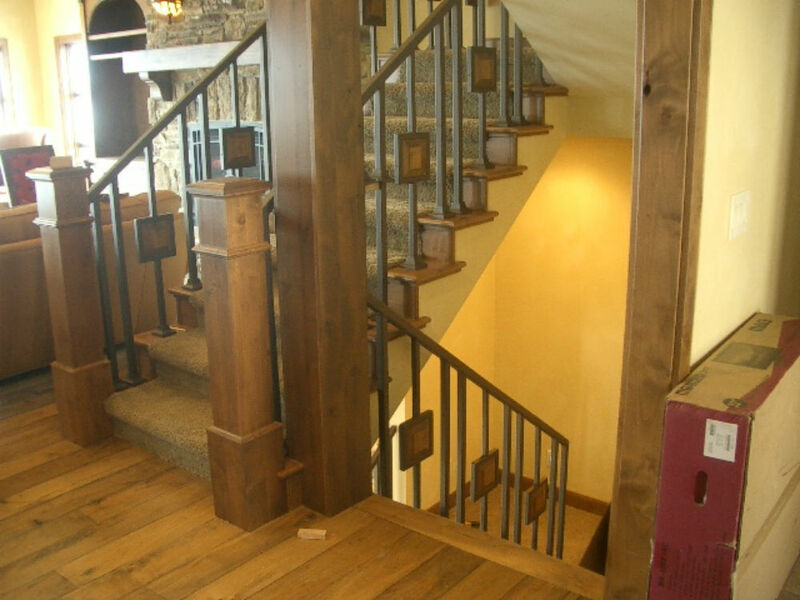 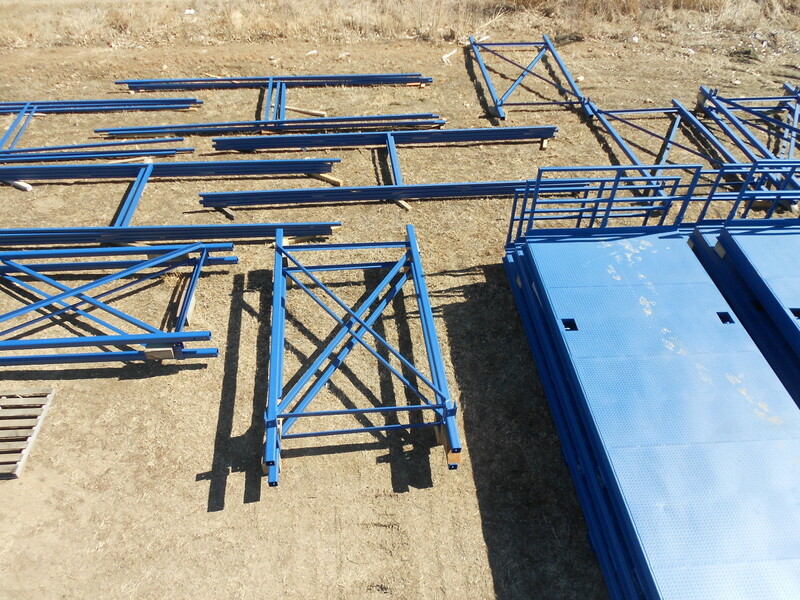 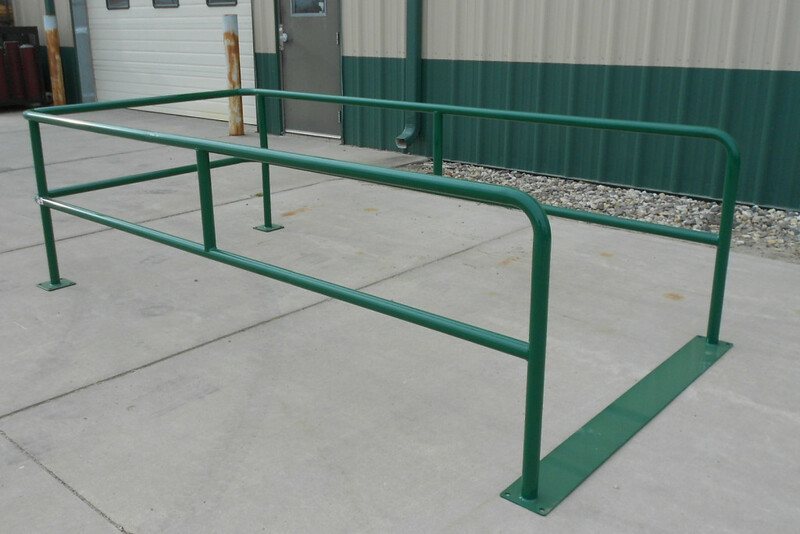 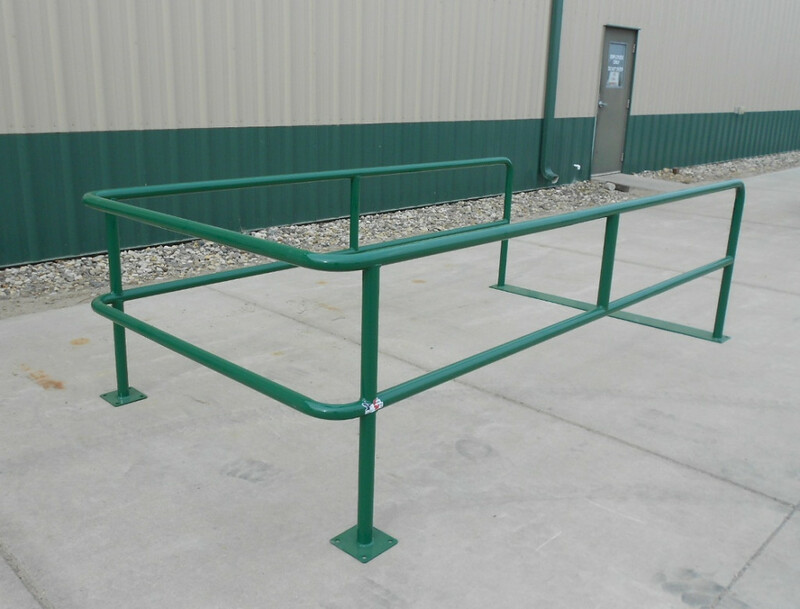 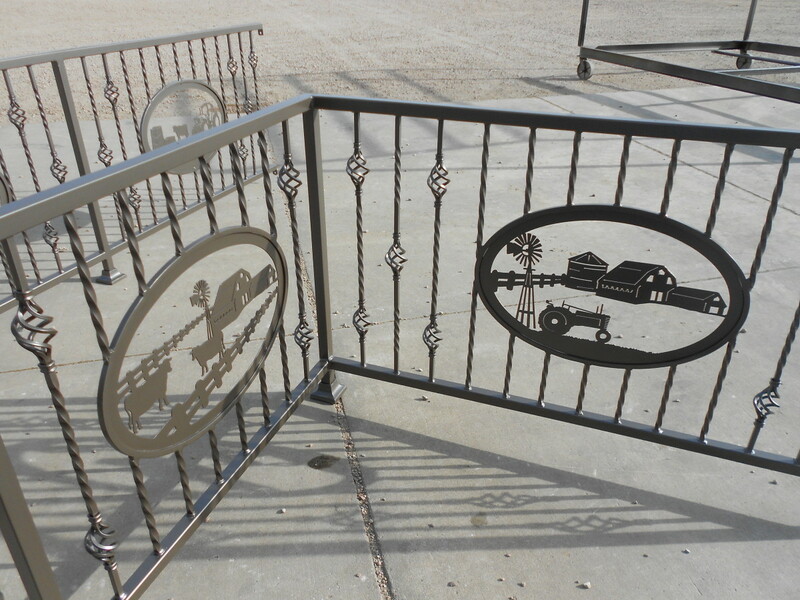 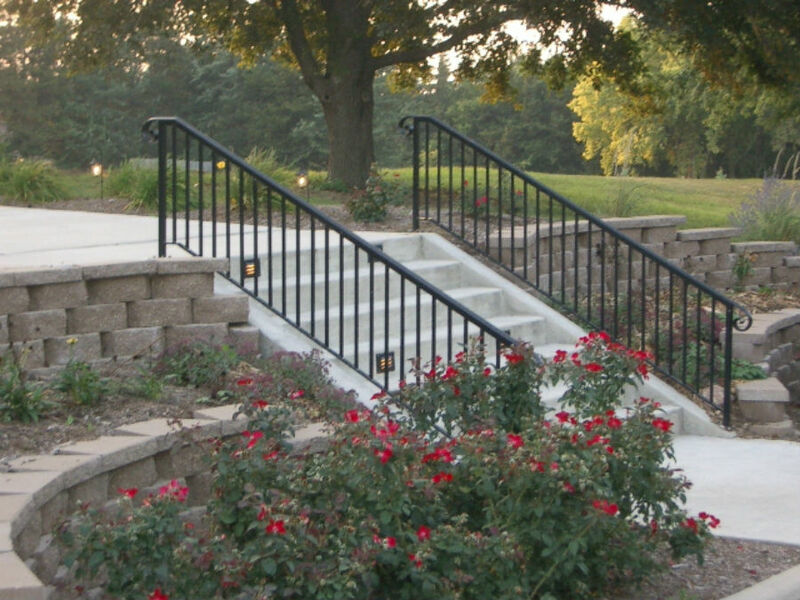 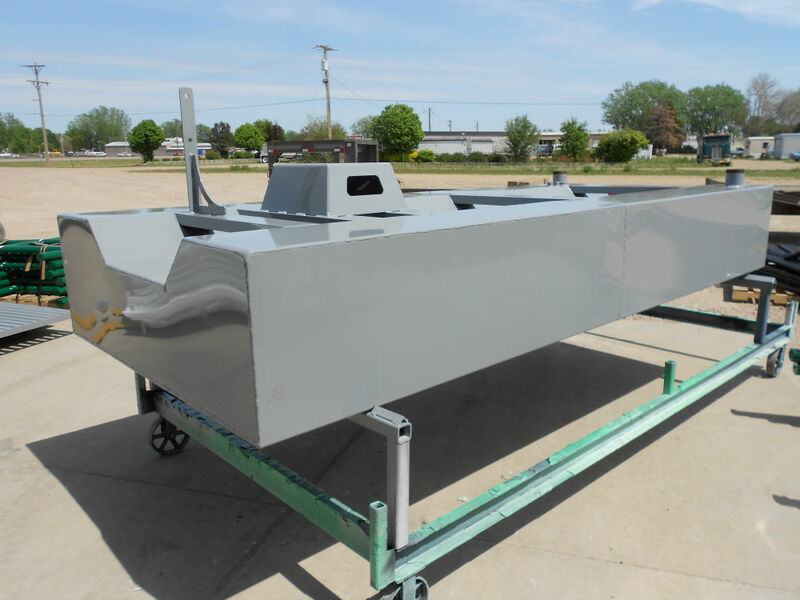 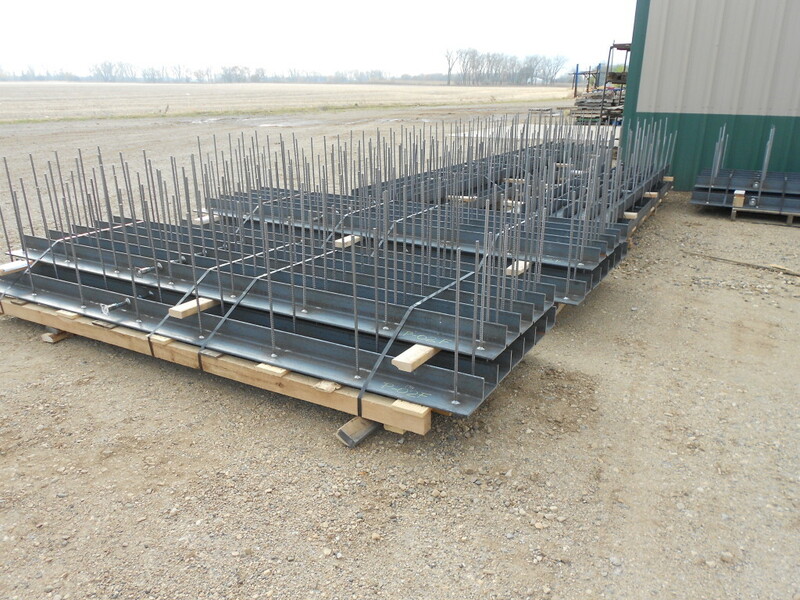 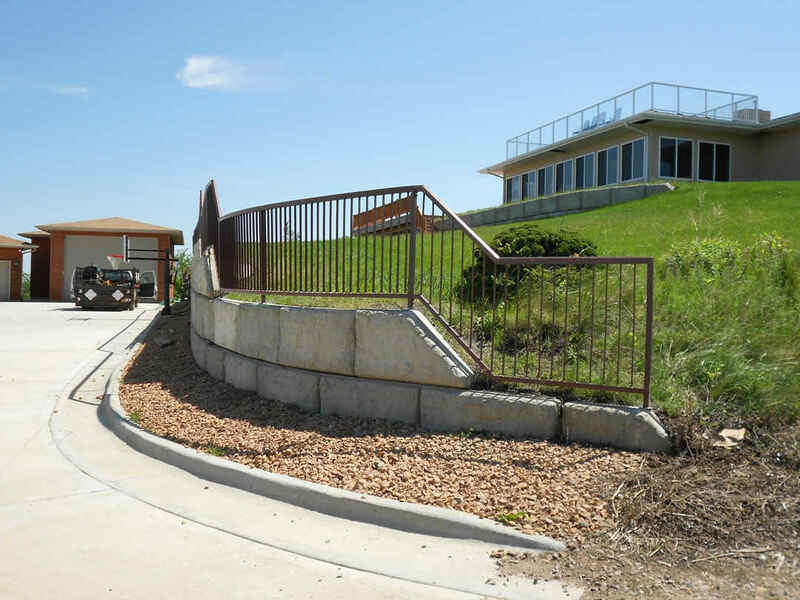 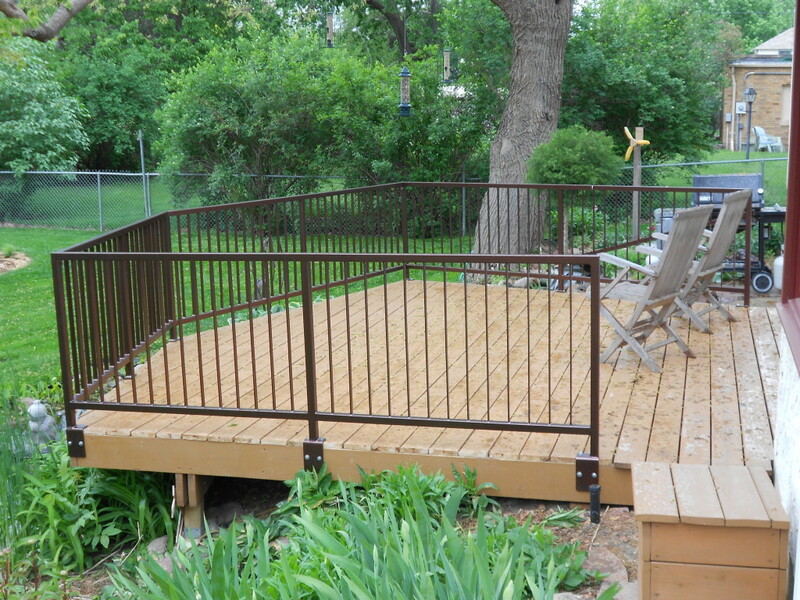 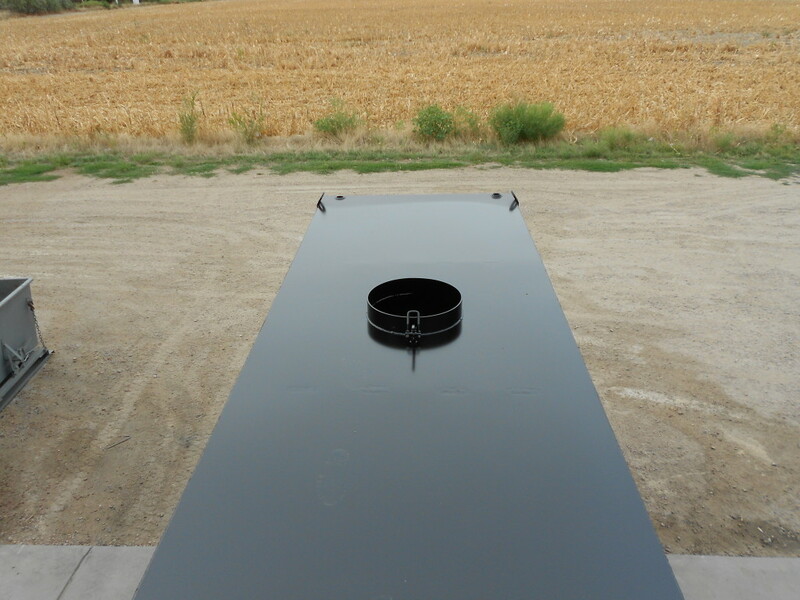 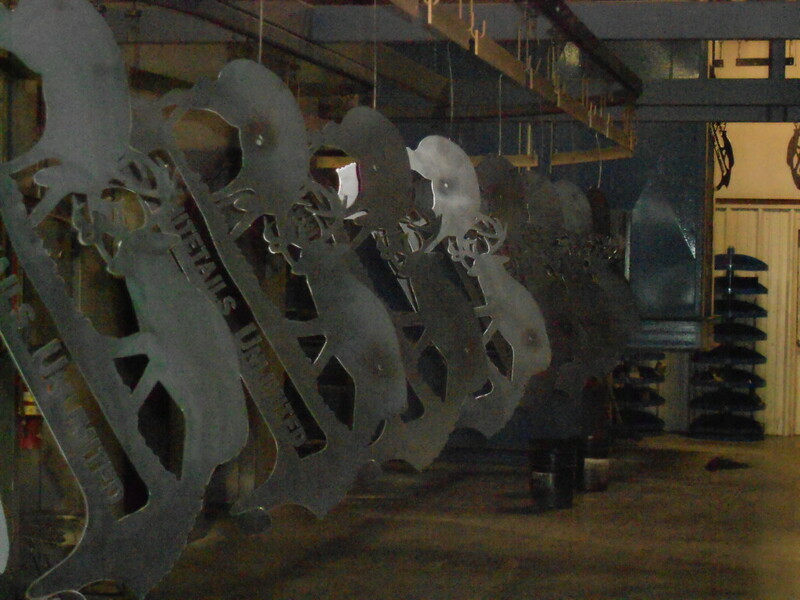 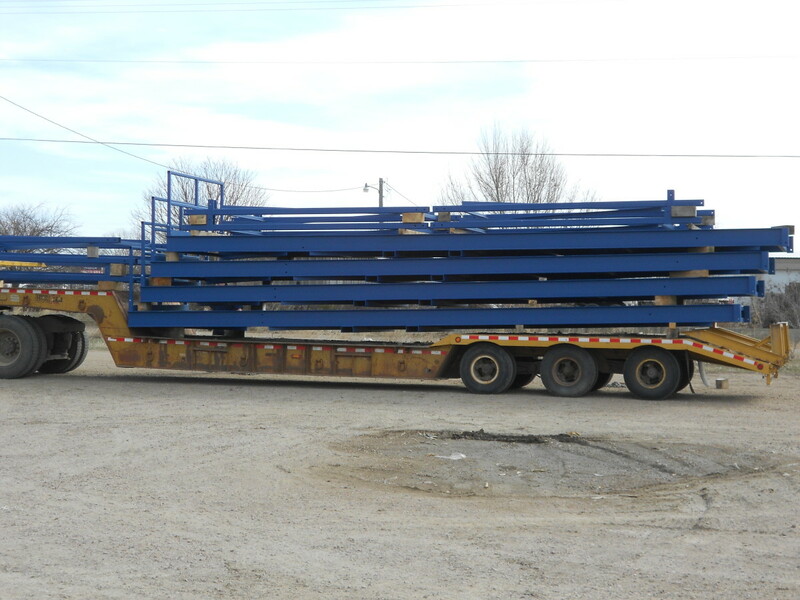 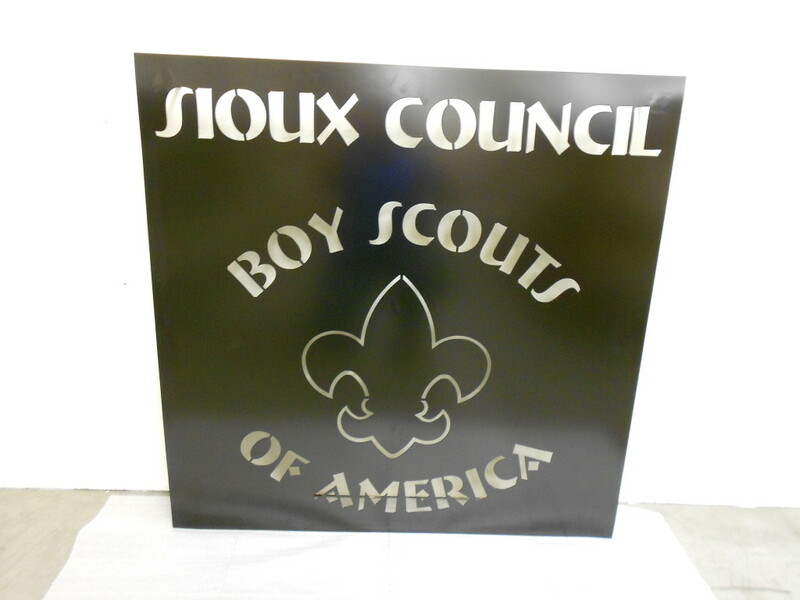 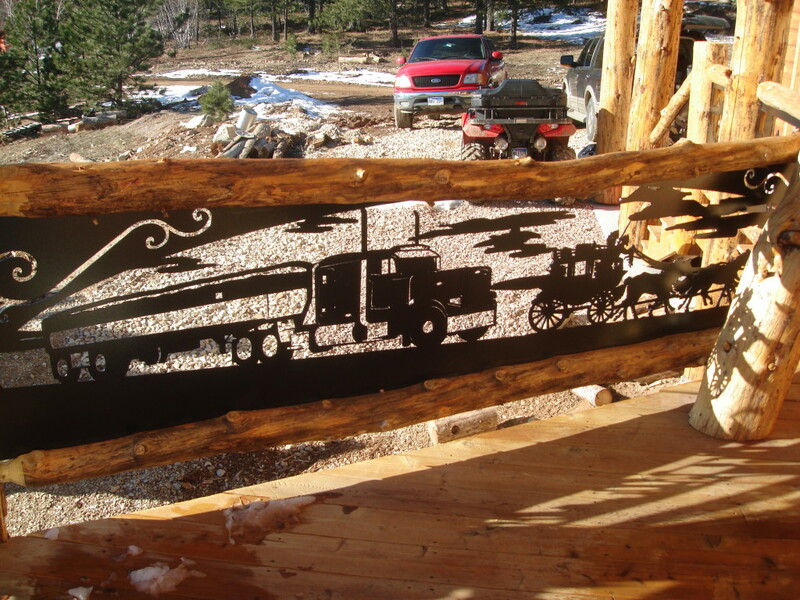 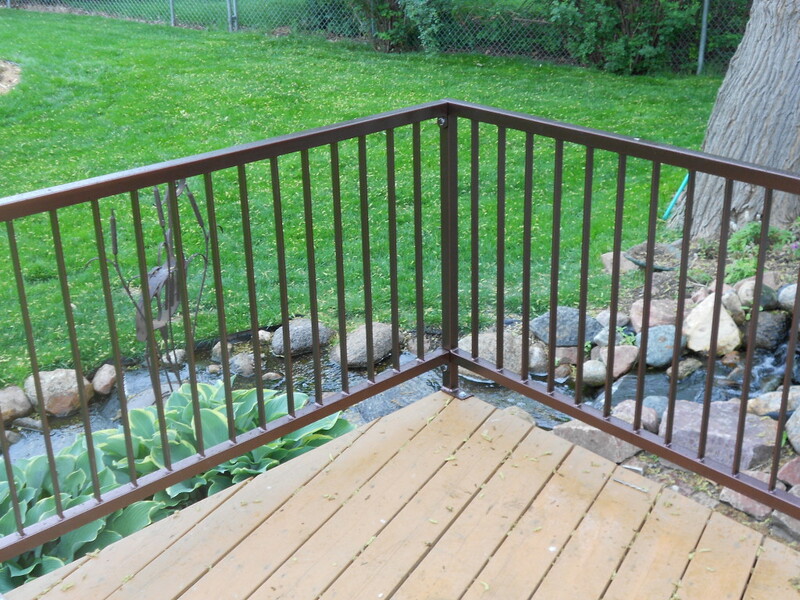 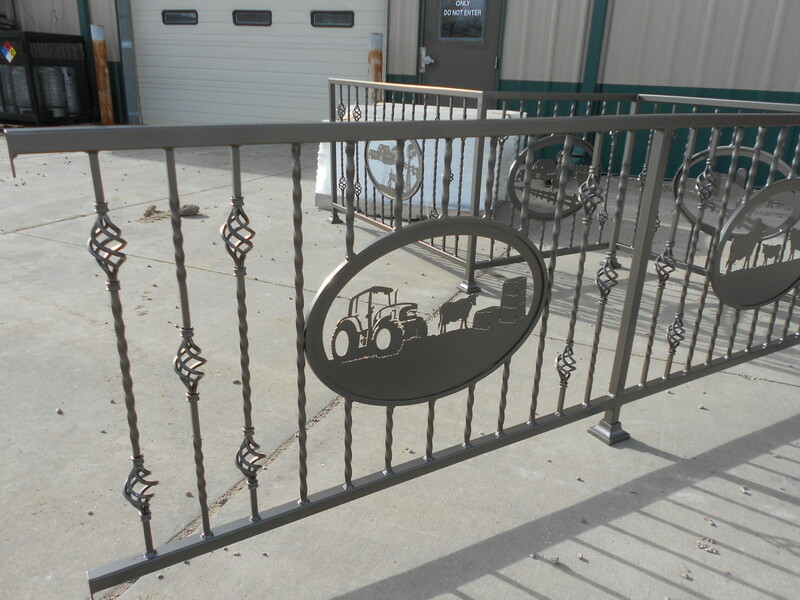 Bow Creek Metal, Inc. is a full service custom metal fabrication company serving the Midwestern United States. 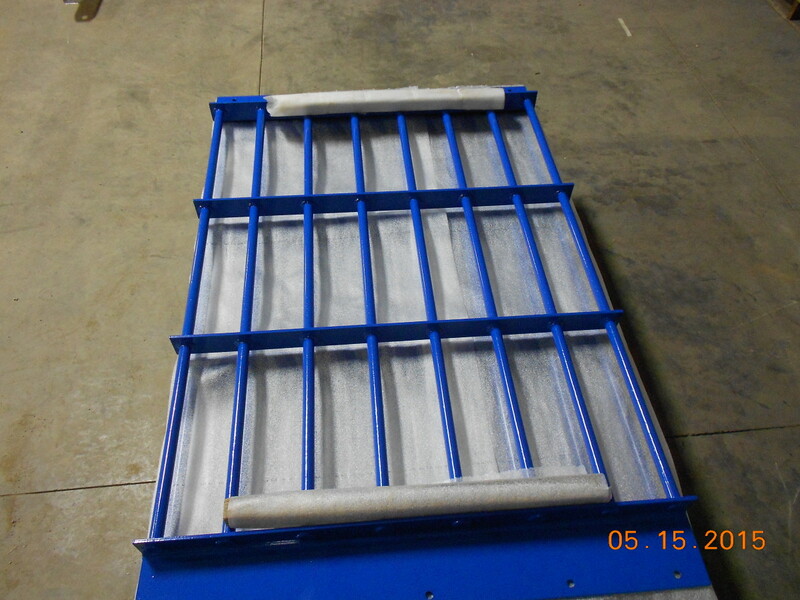 We specialize in several types of manufacturing products listed below. 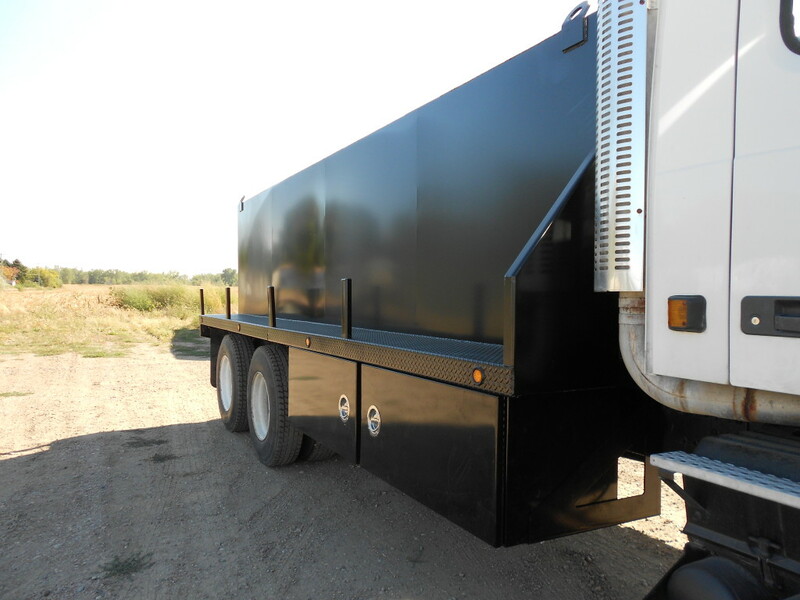 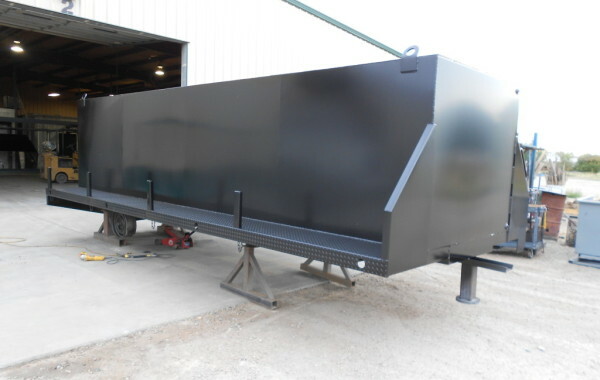 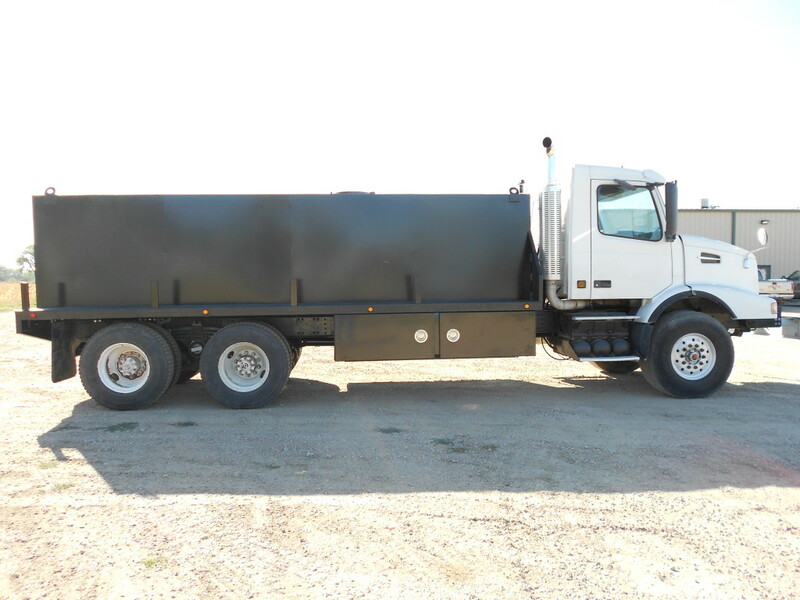 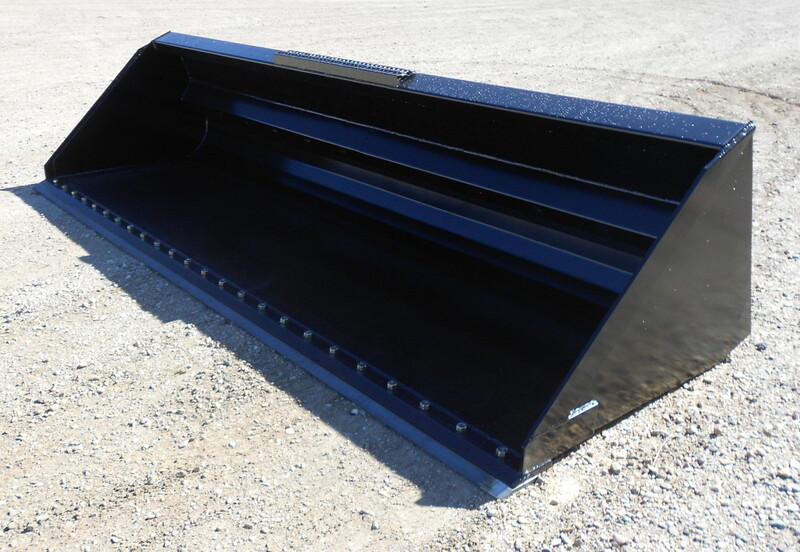 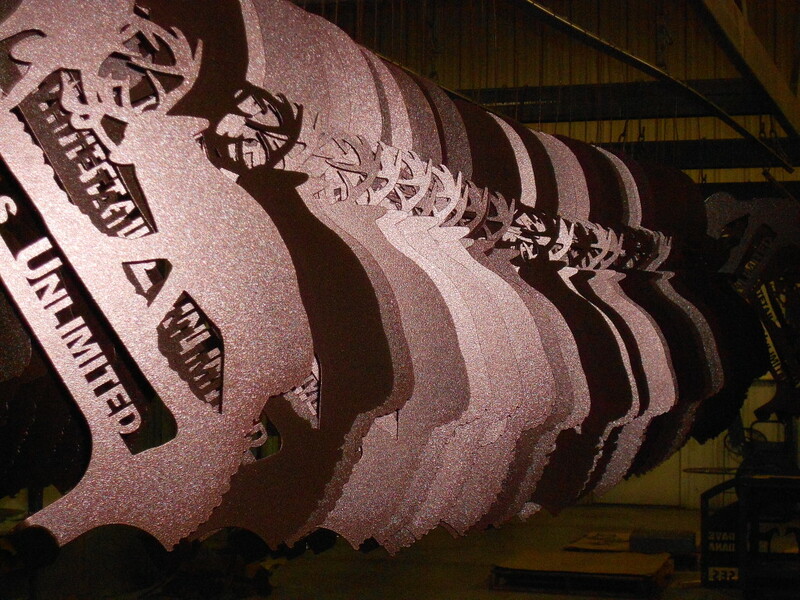 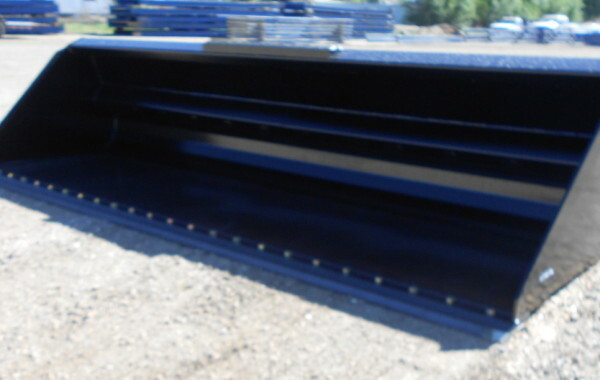 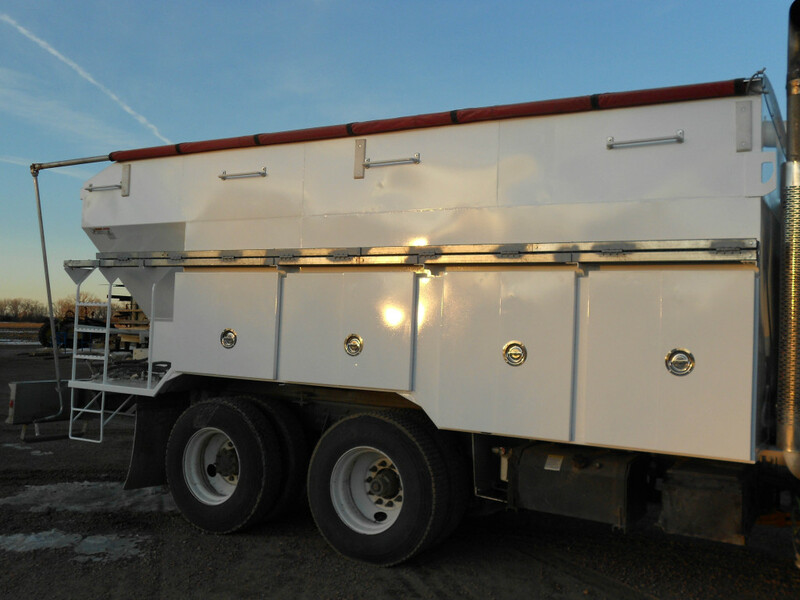 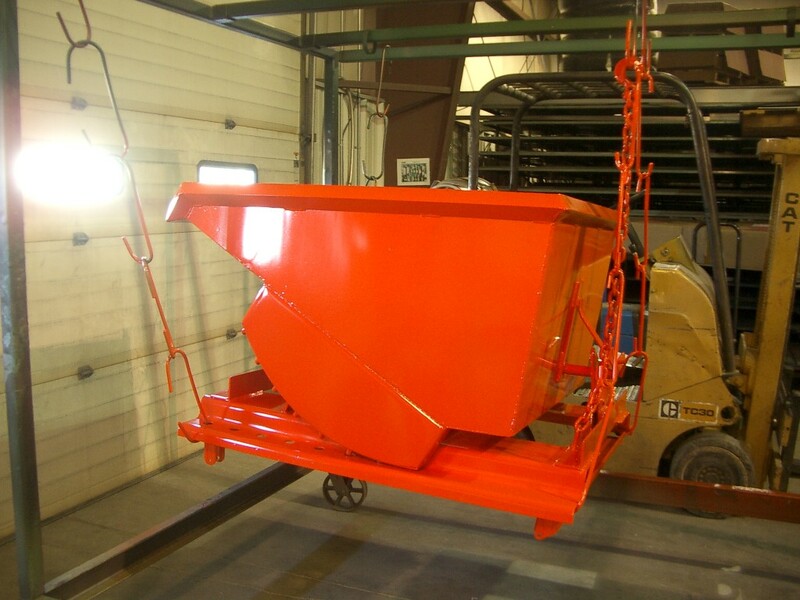 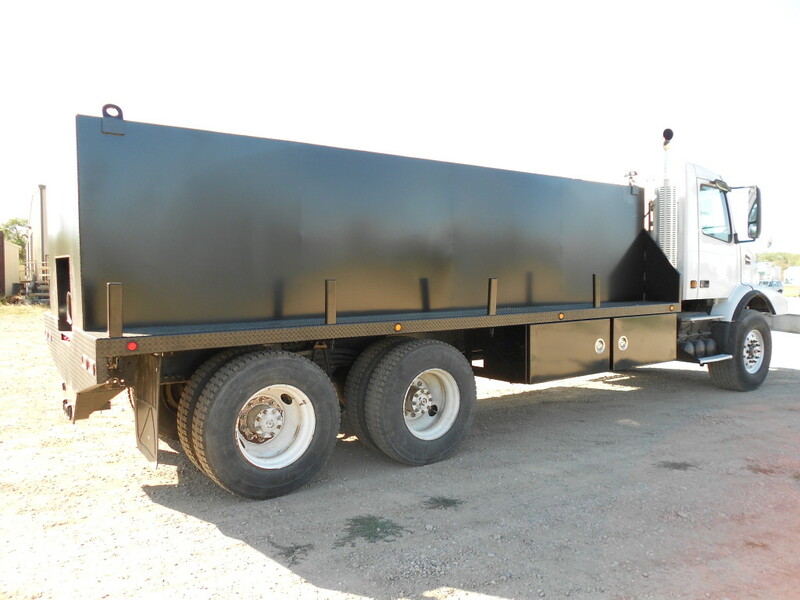 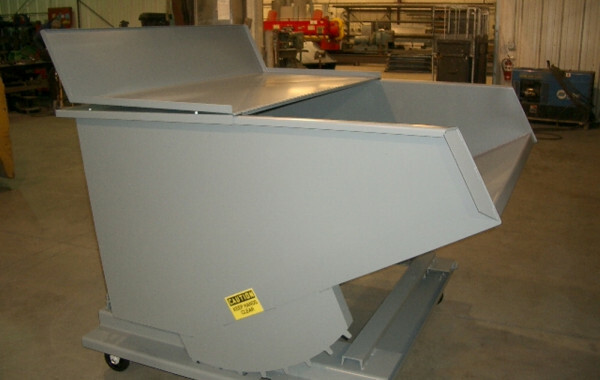 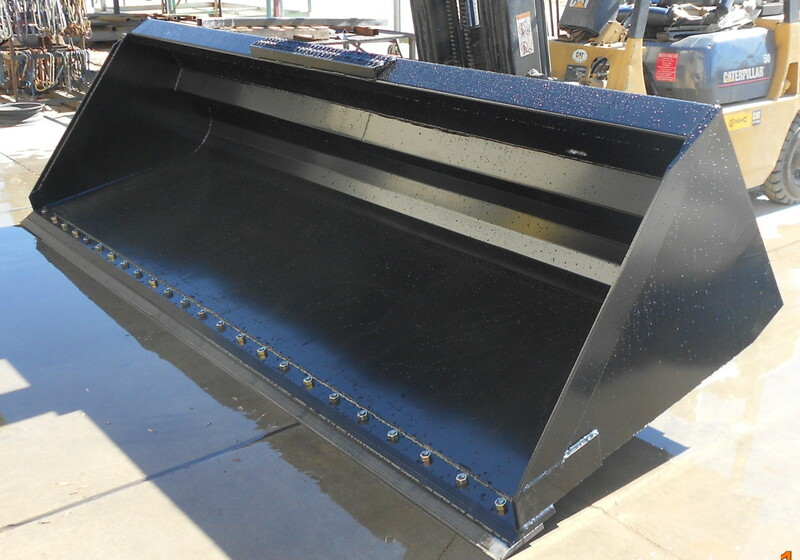 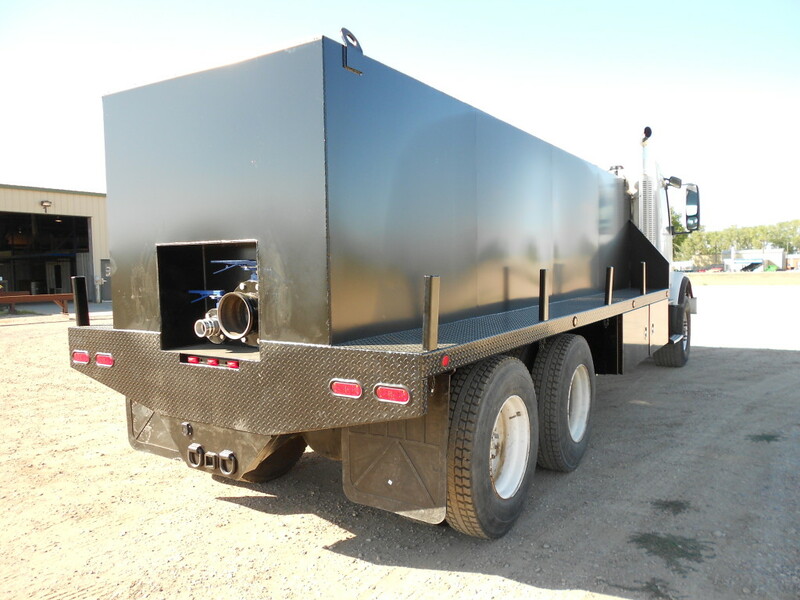 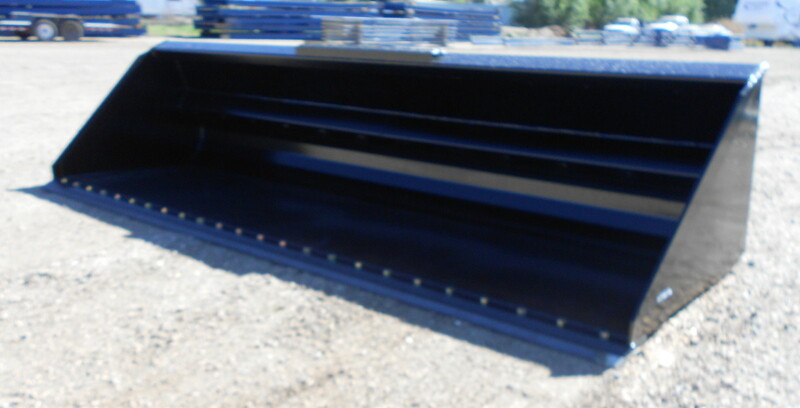 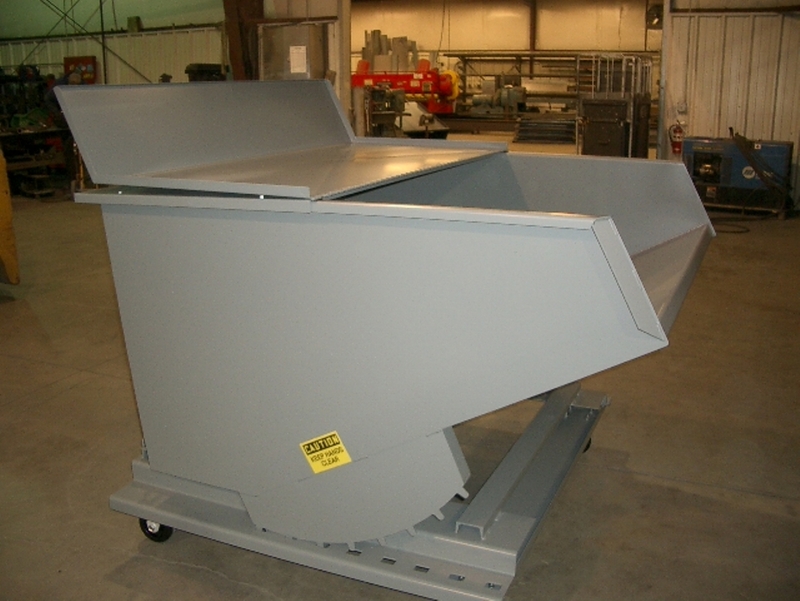 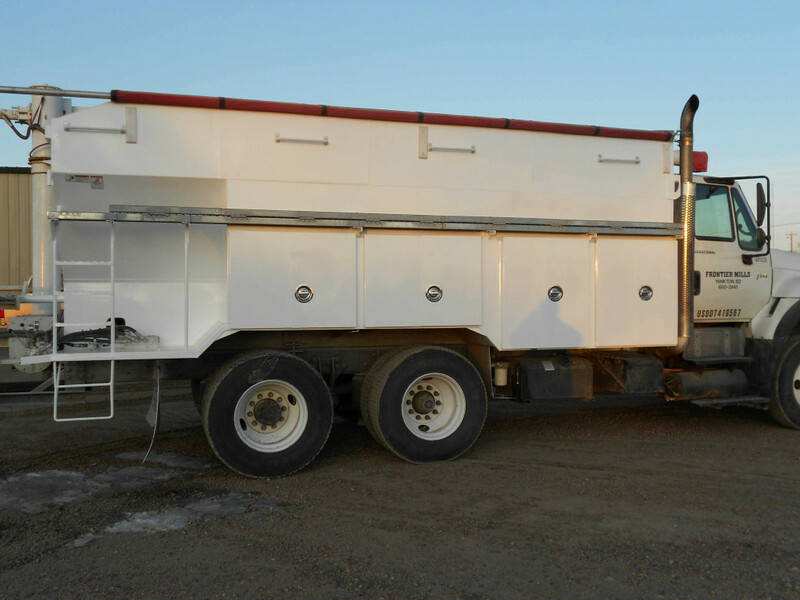 Bow Creek Metal fabricated a 12' custom loader bucket. 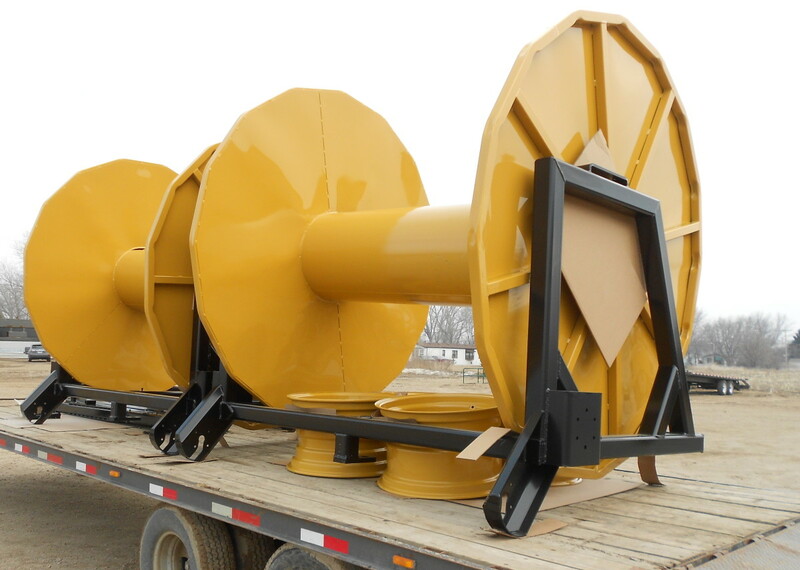 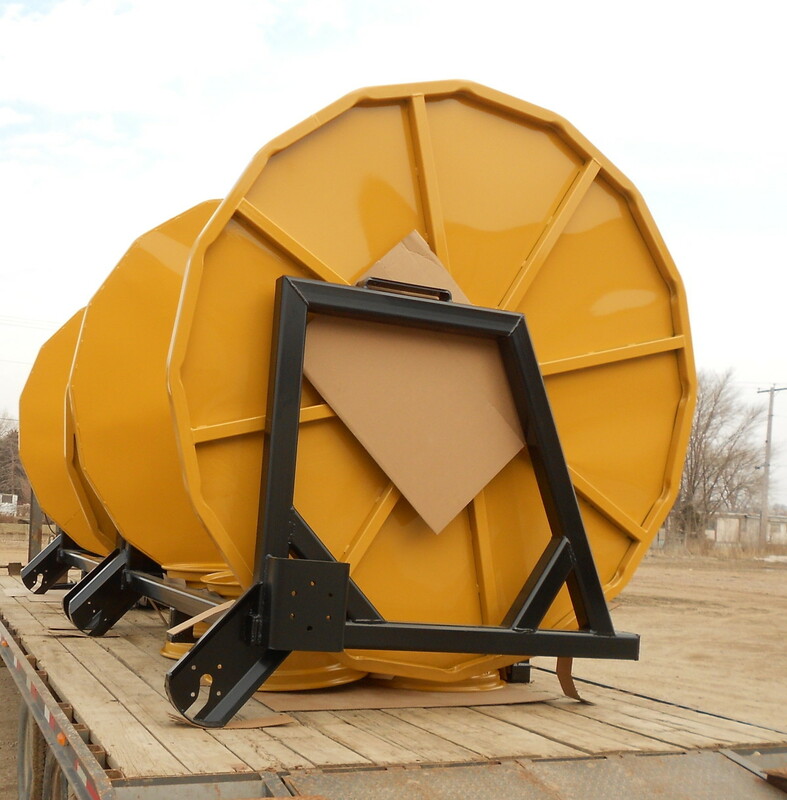 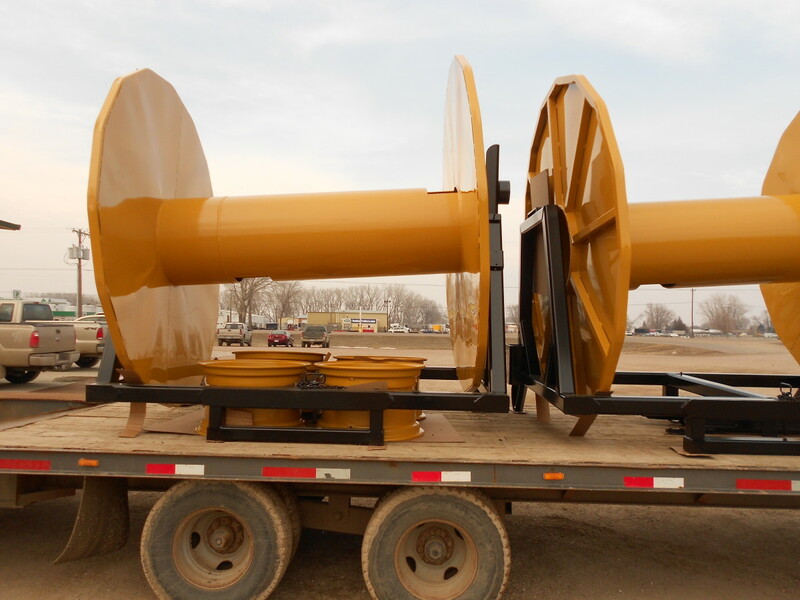 These large spools were powder coated a specific color requested by our clients. 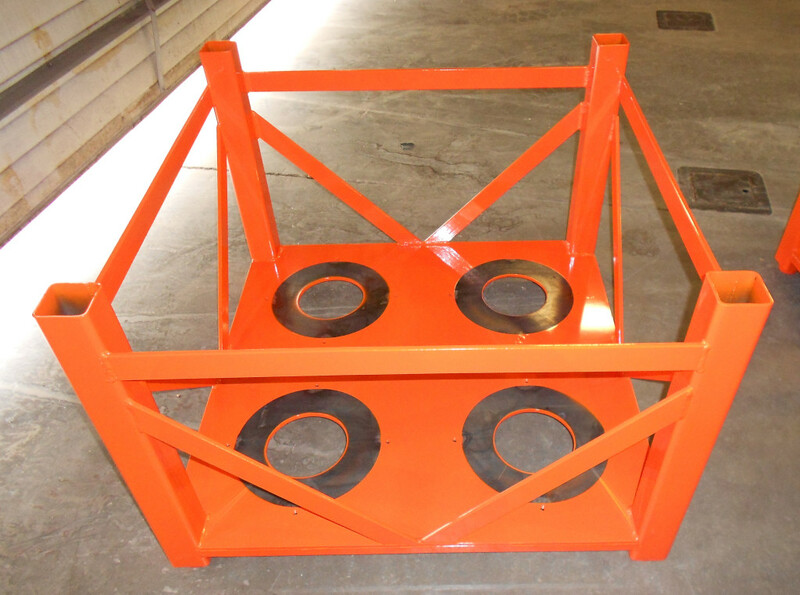 Each spool was made of heavy gauge steel. 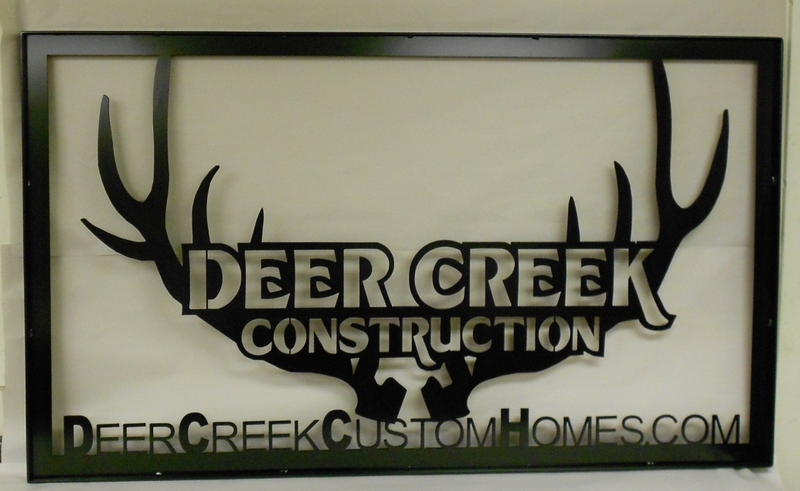 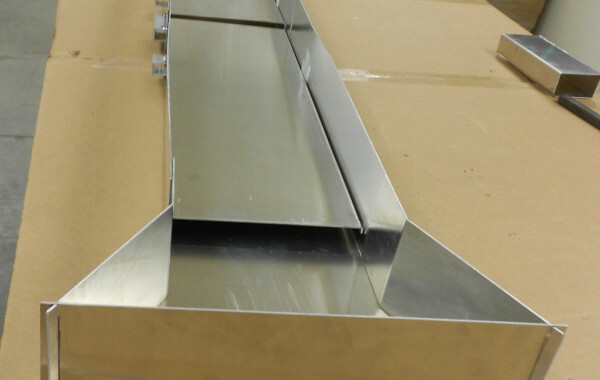 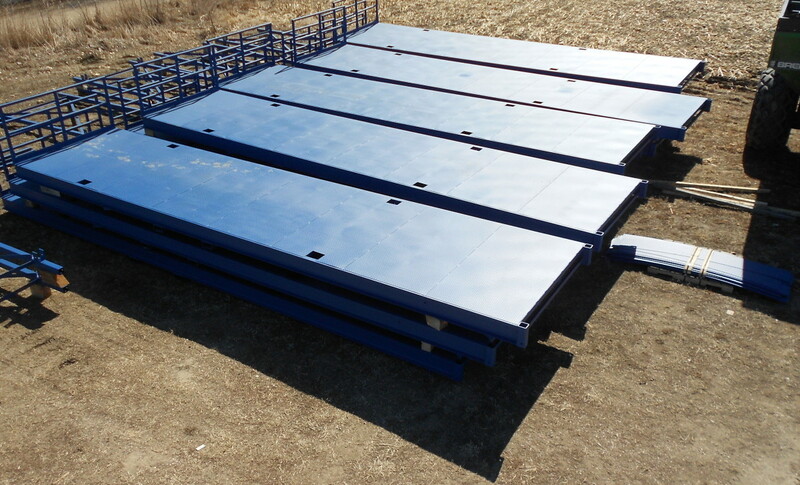 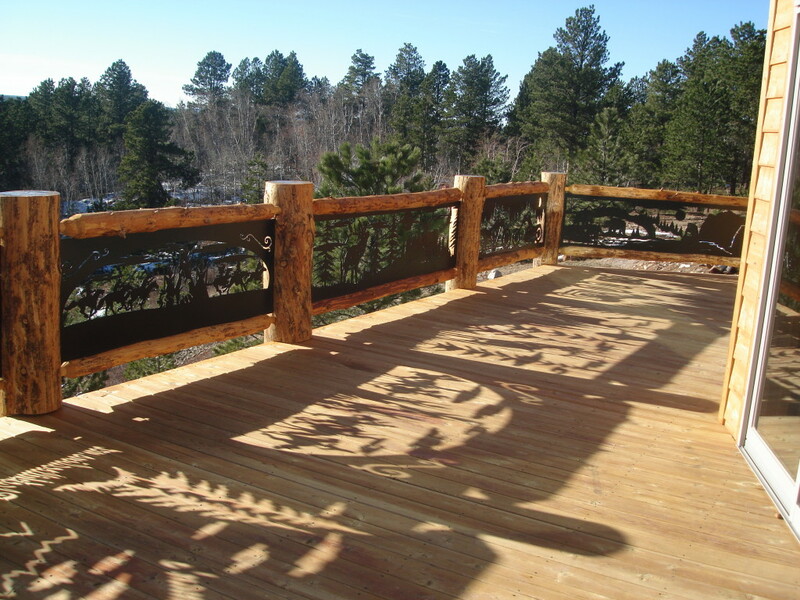 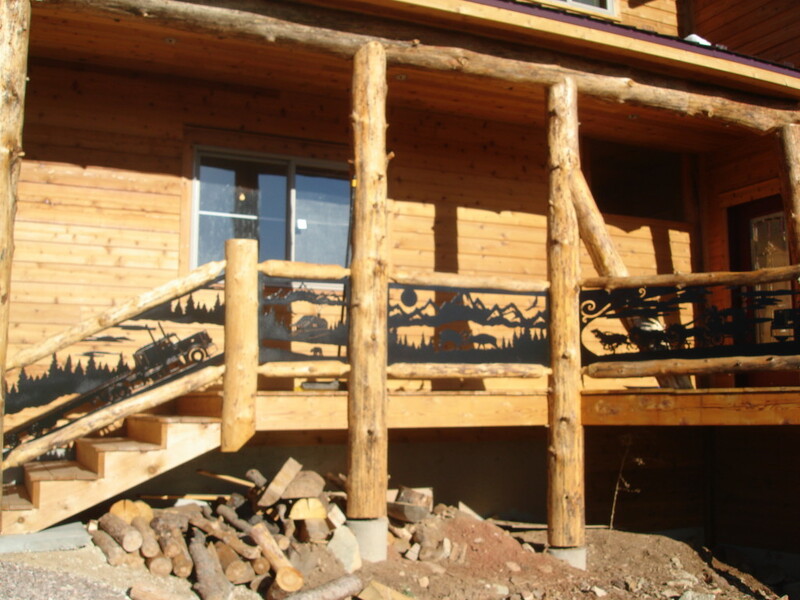 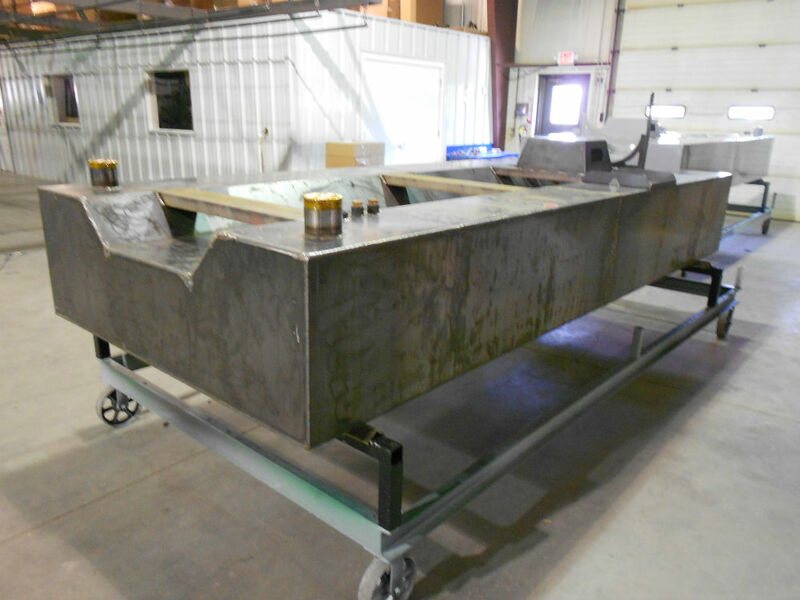 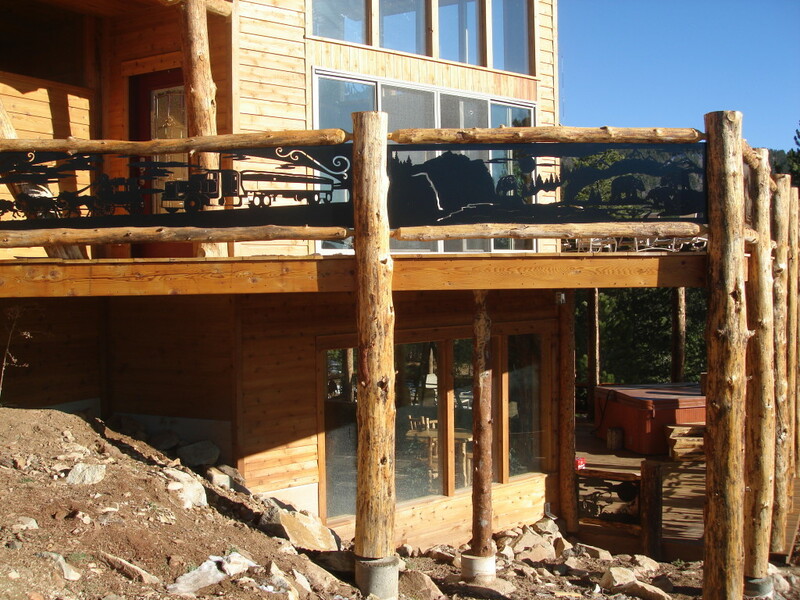 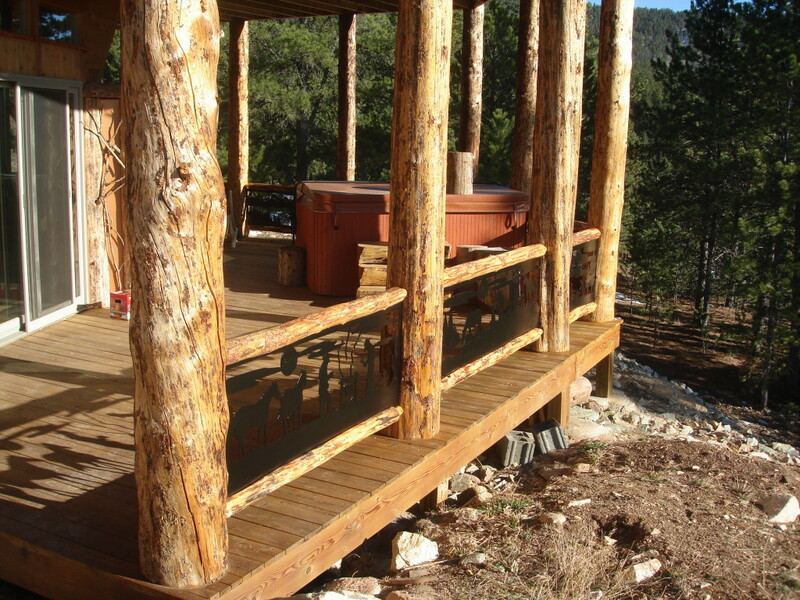 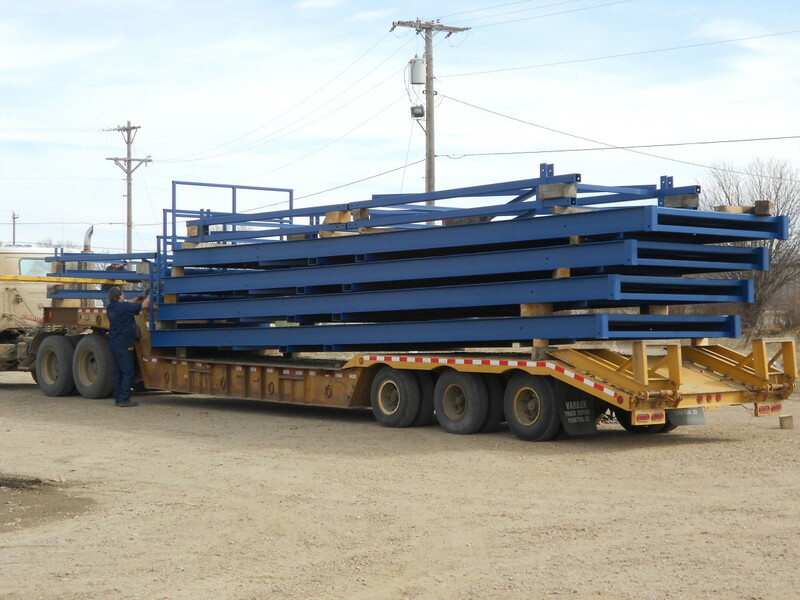 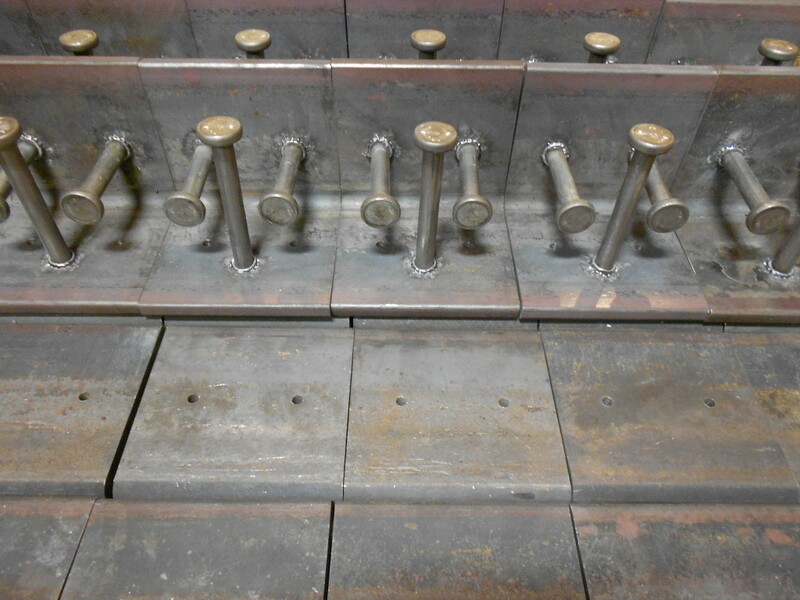 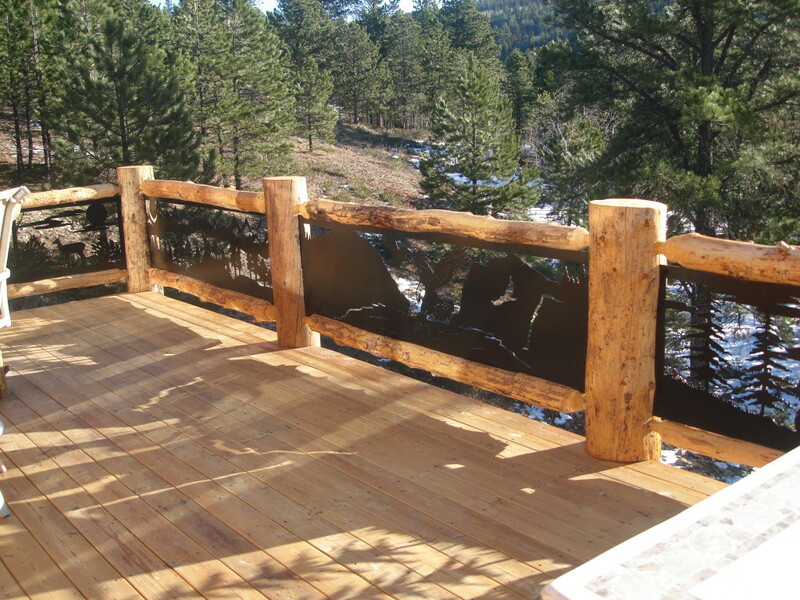 Bow Creek Metal will fabricate your structural embedment according to your plans, building codes and requirements. 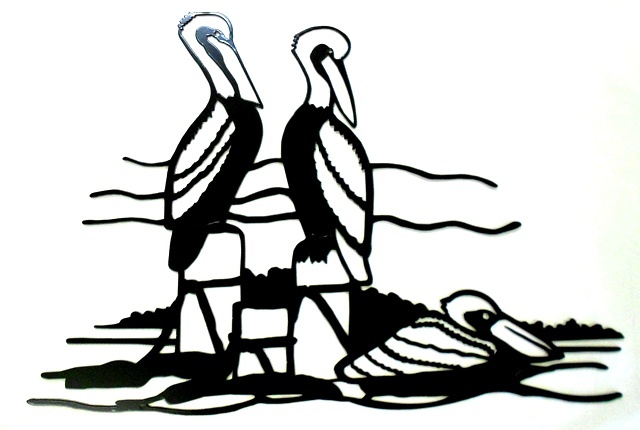 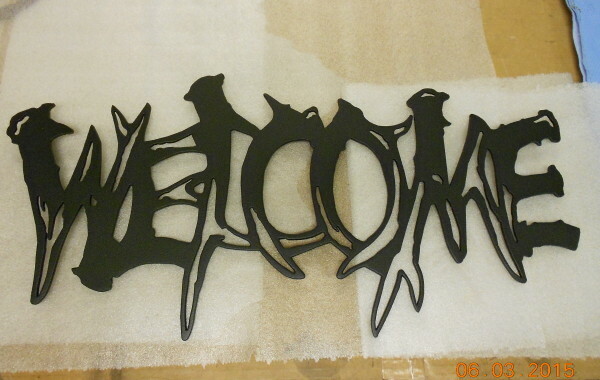 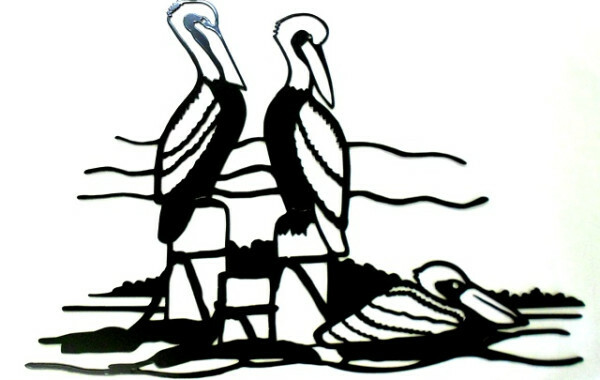 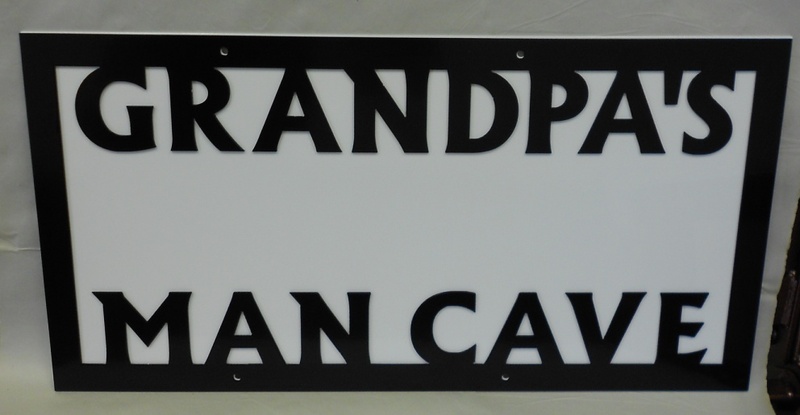 2’X2’ Metal Pelican Cabin Decoration. 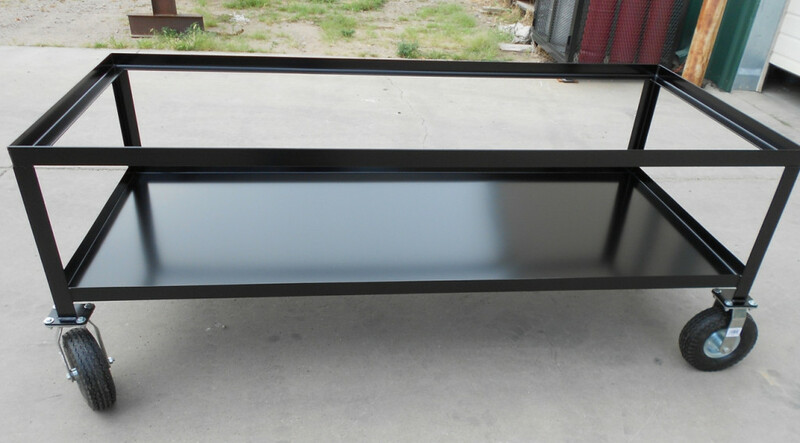 Powder Coated Black. 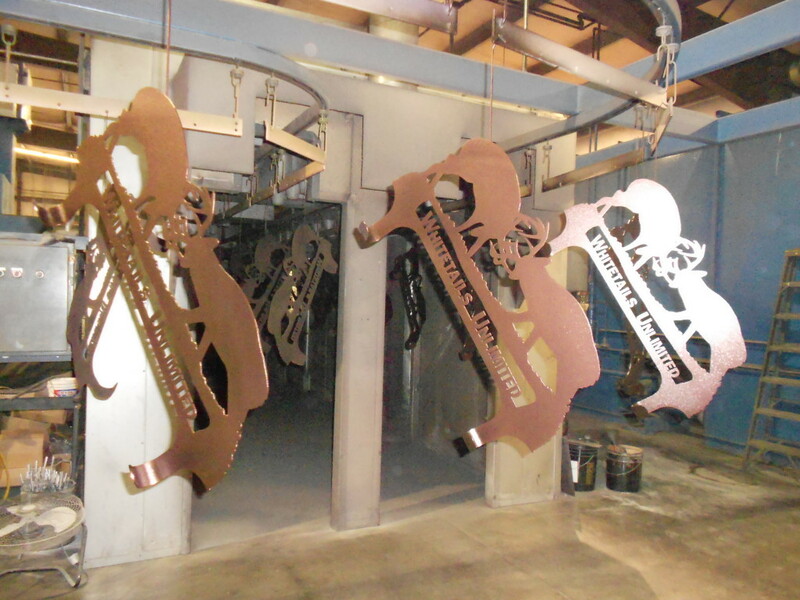 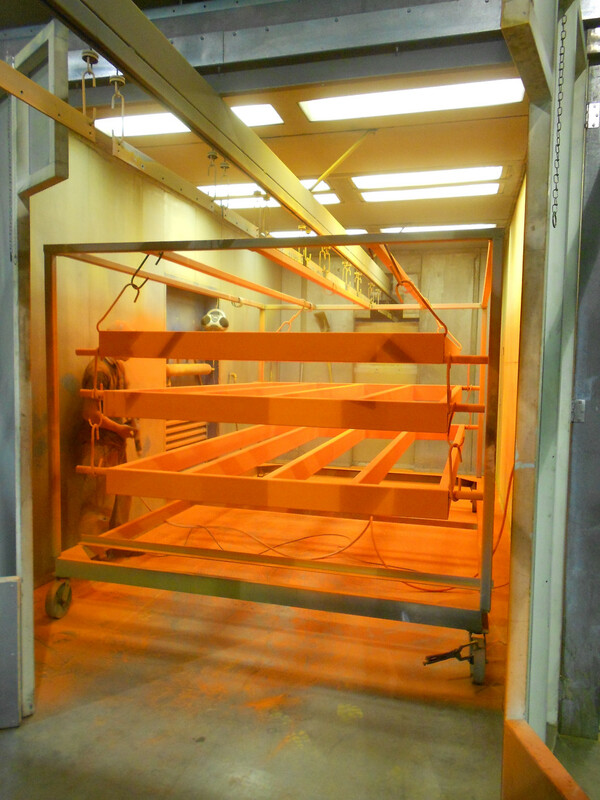 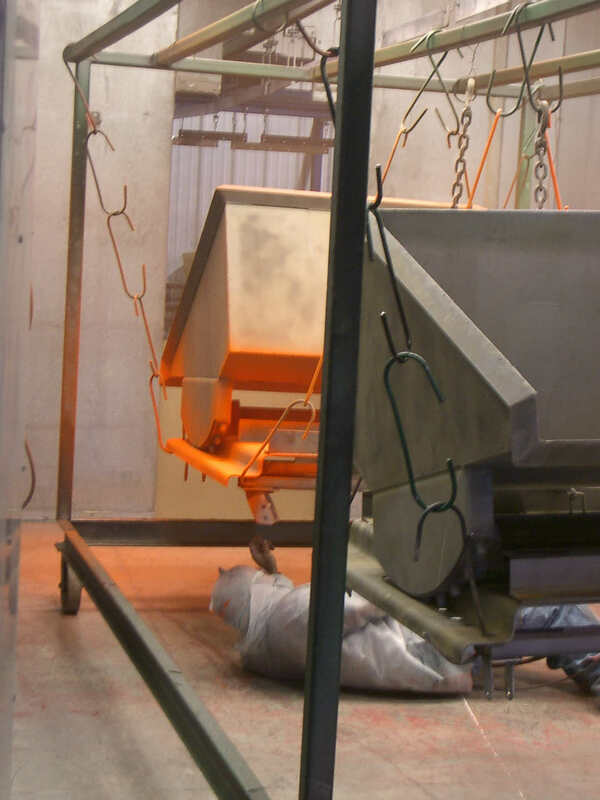 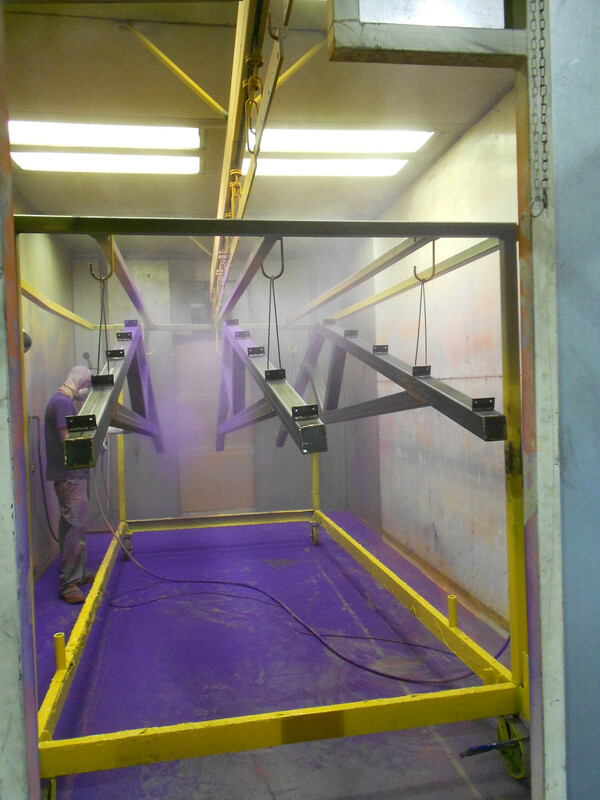 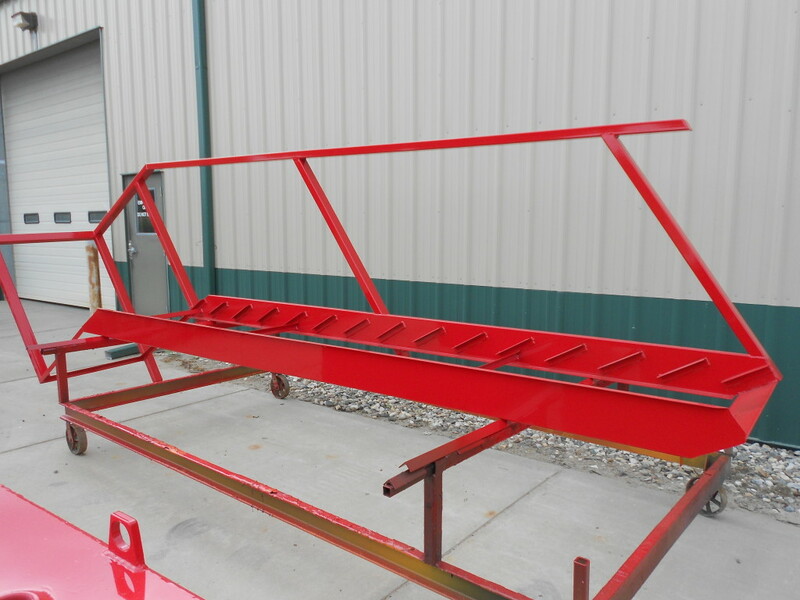 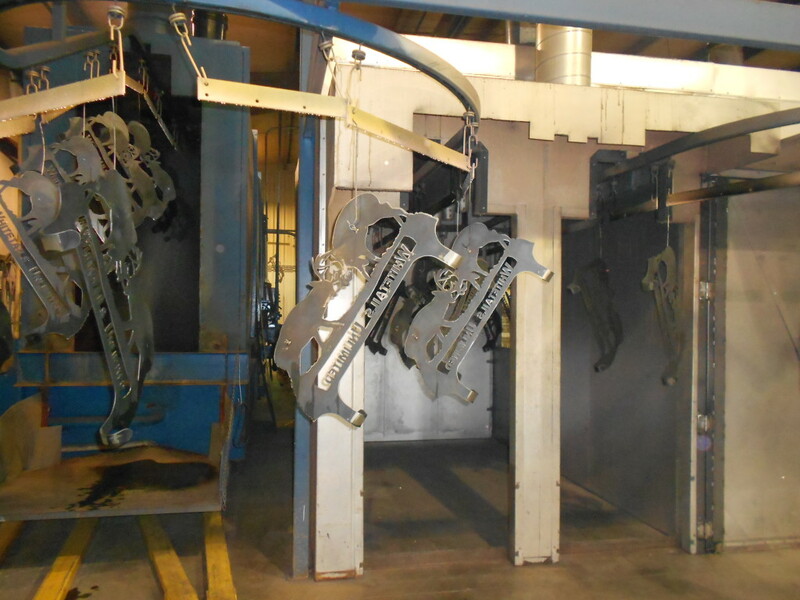 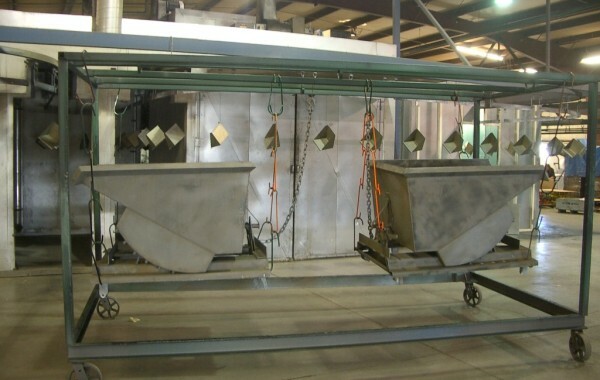 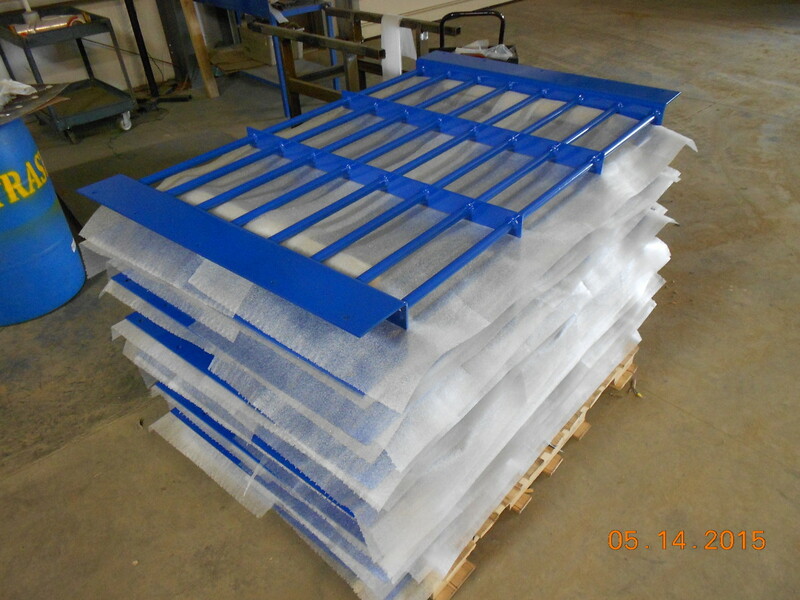 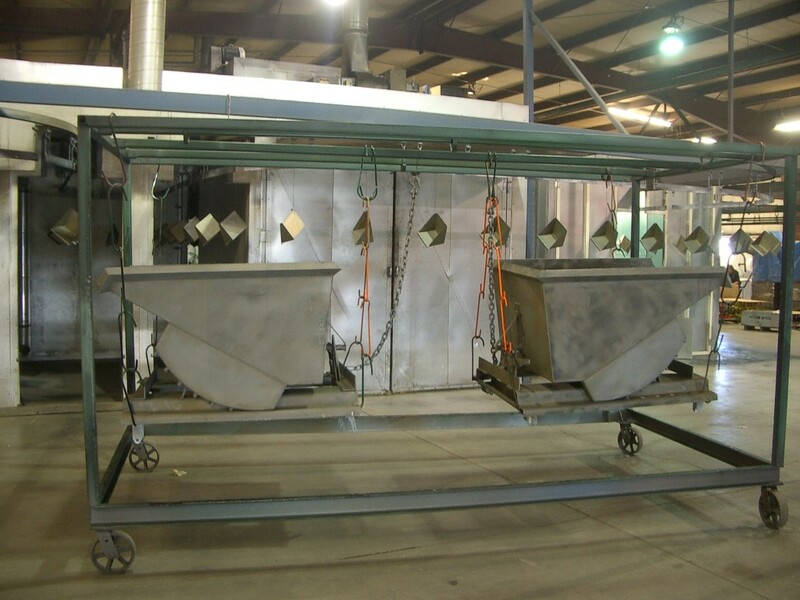 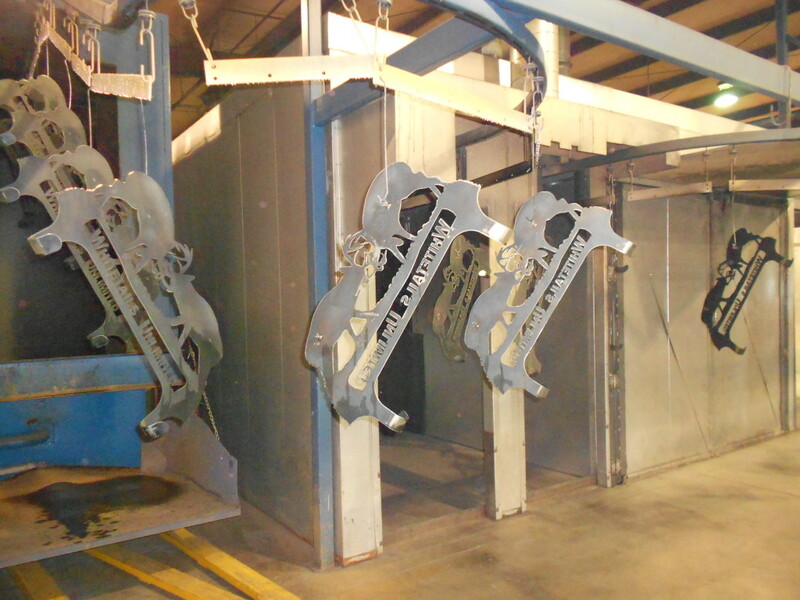 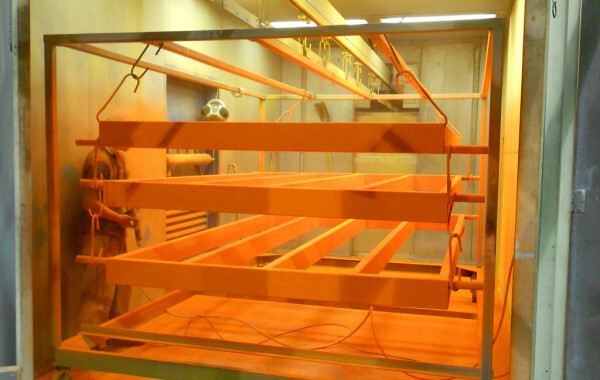 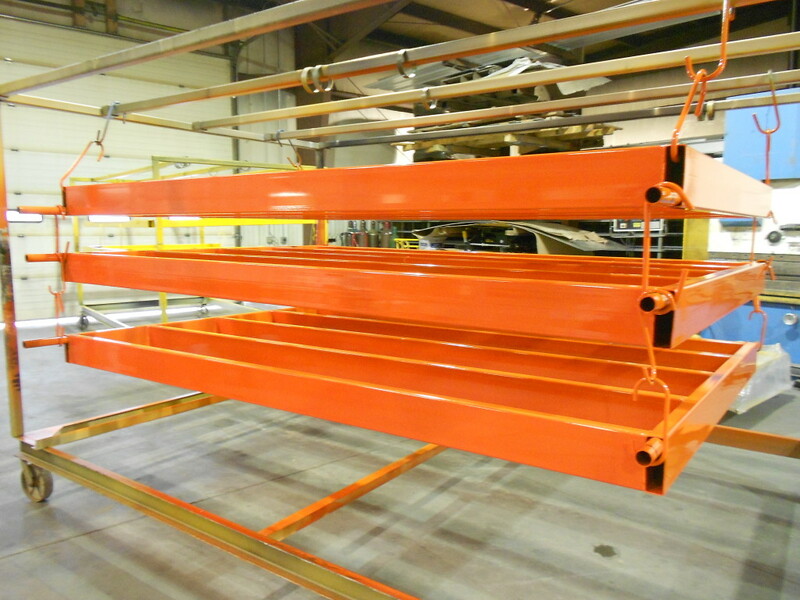 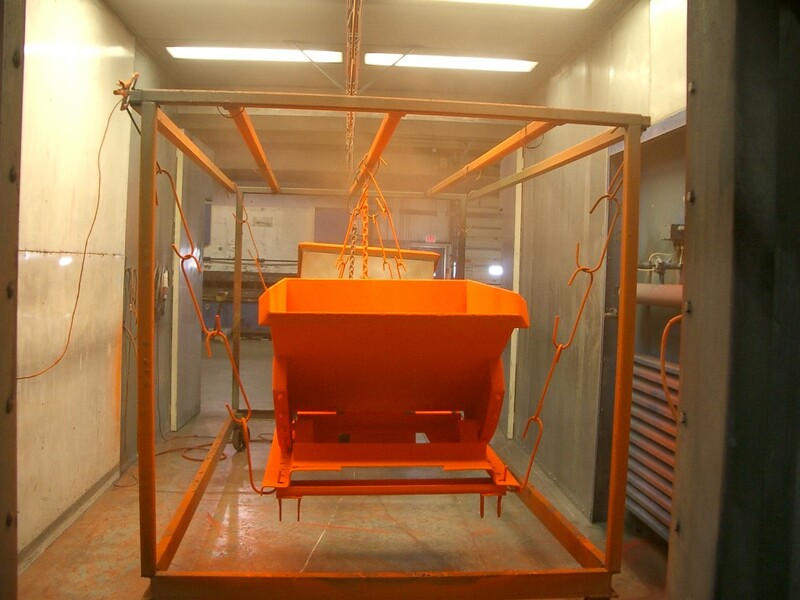 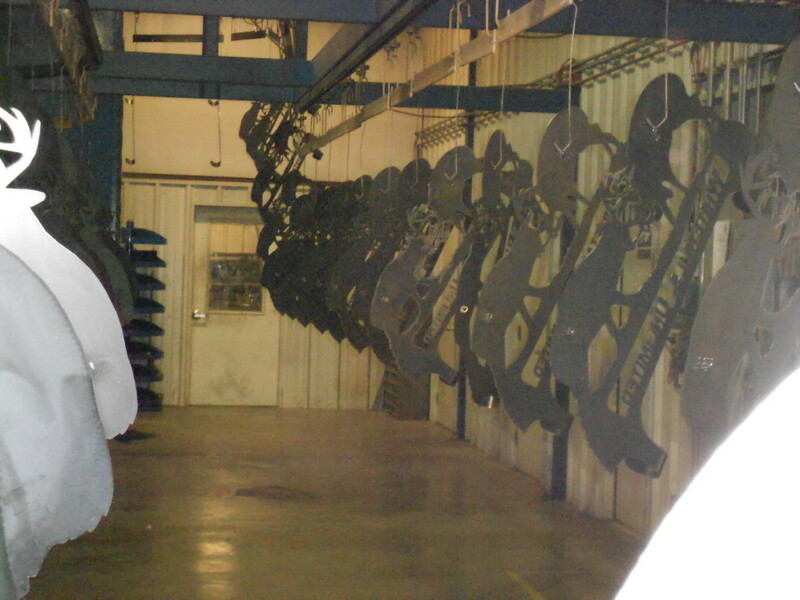 Our Powder Coating Line can handle many different items in the phosphate wash, paint booth and oven. 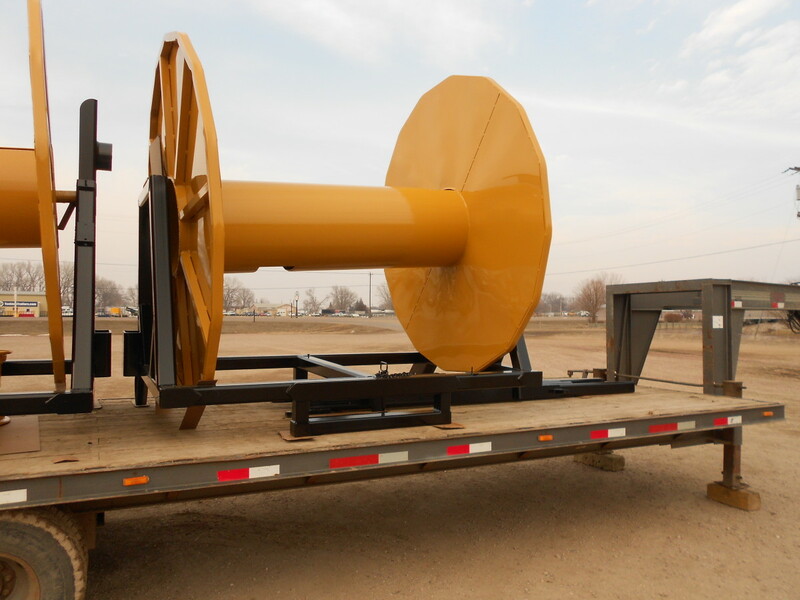 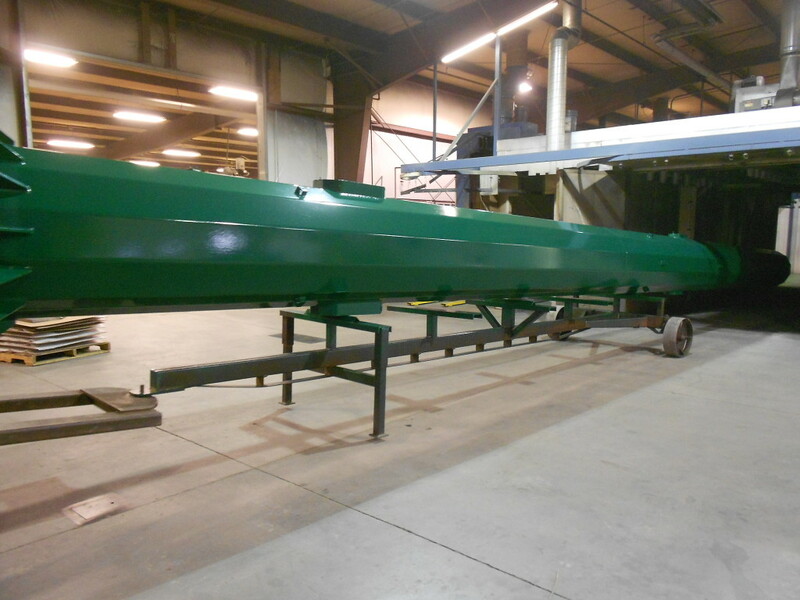 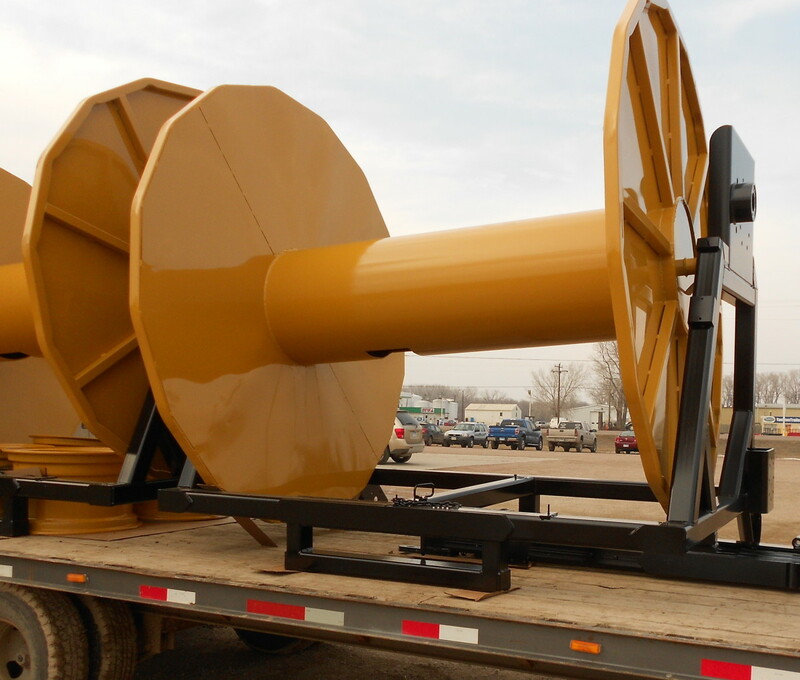 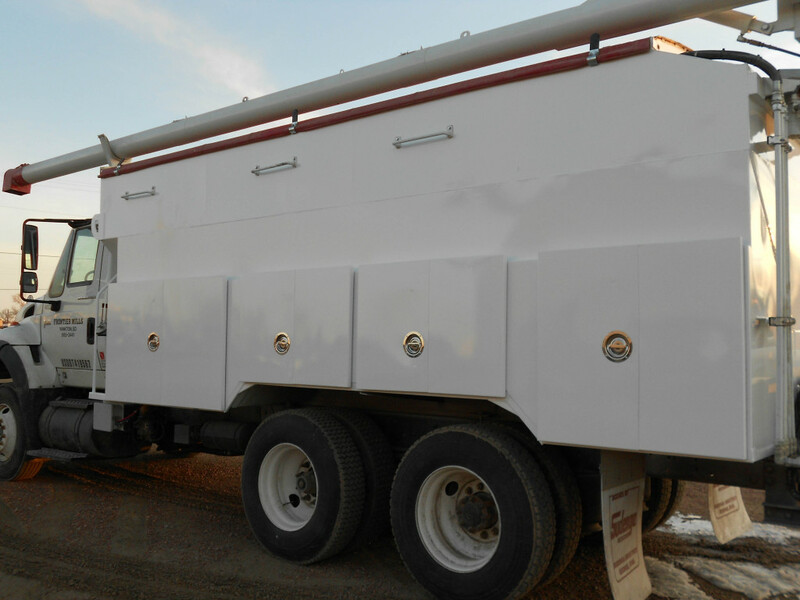 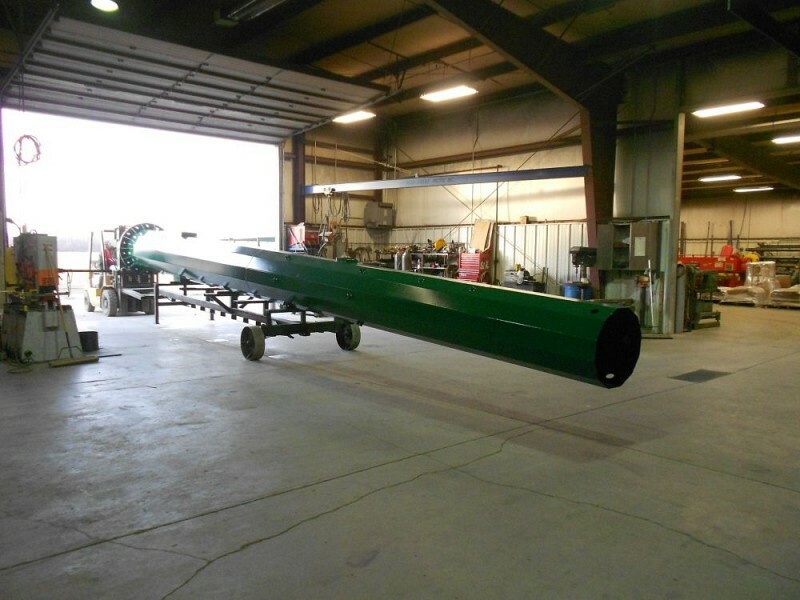 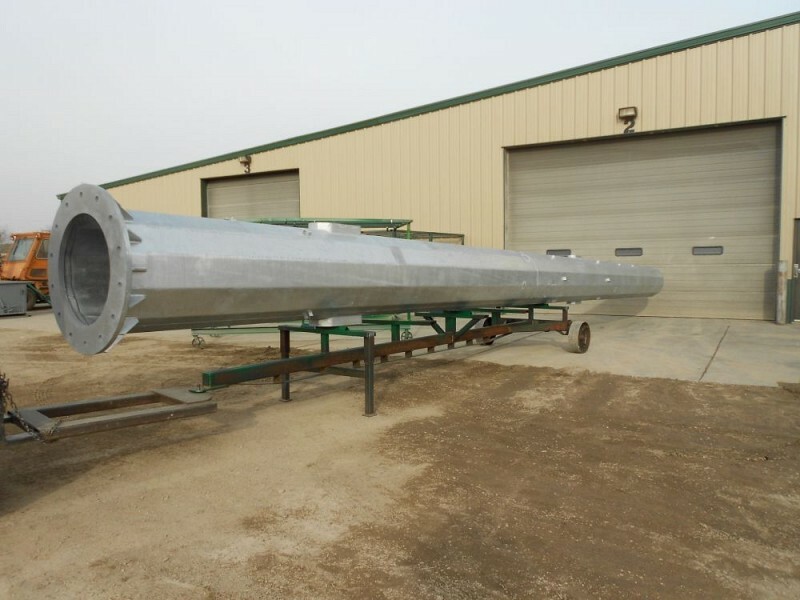 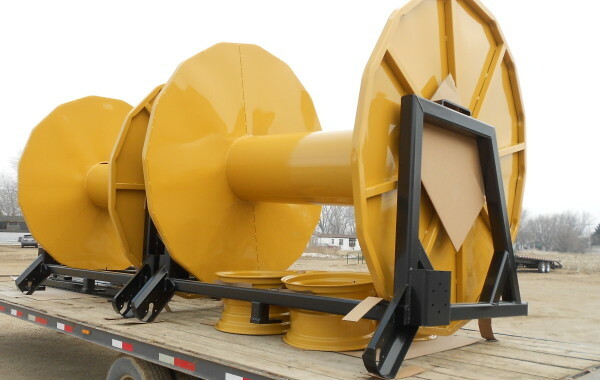 40’ Monopole that was powder coated to customer specifications. 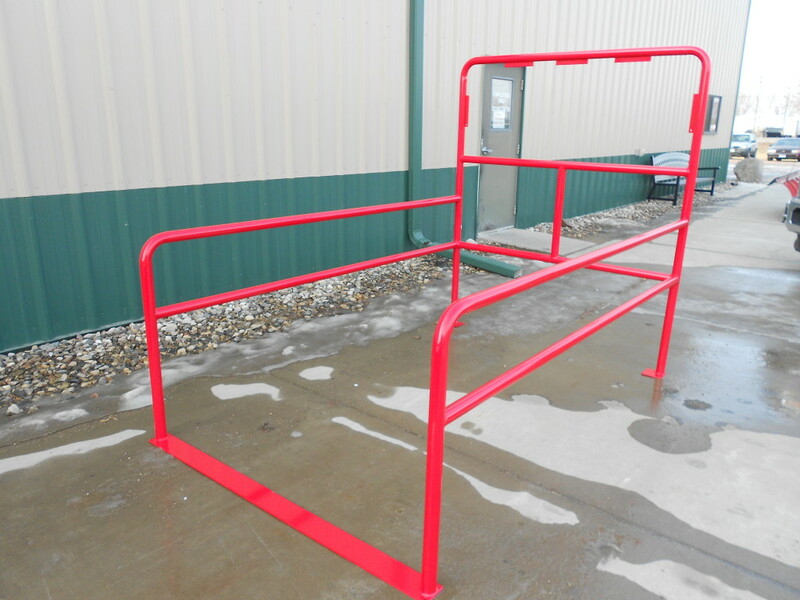 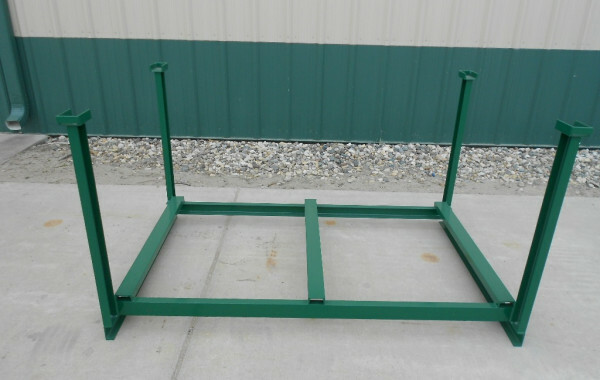 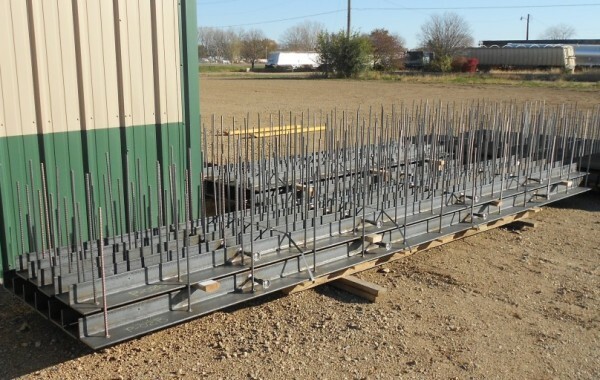 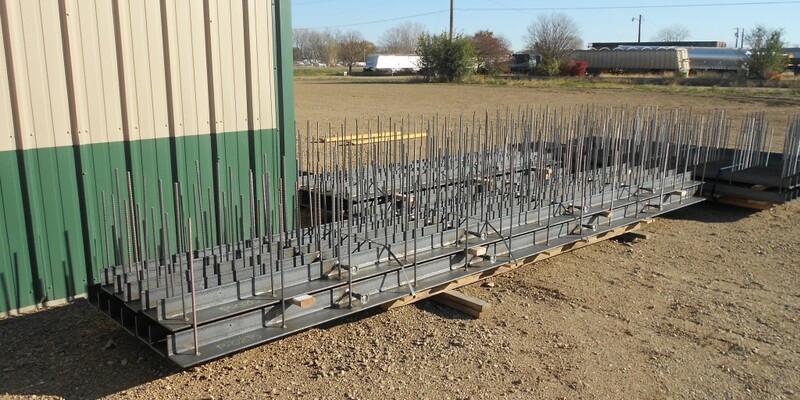 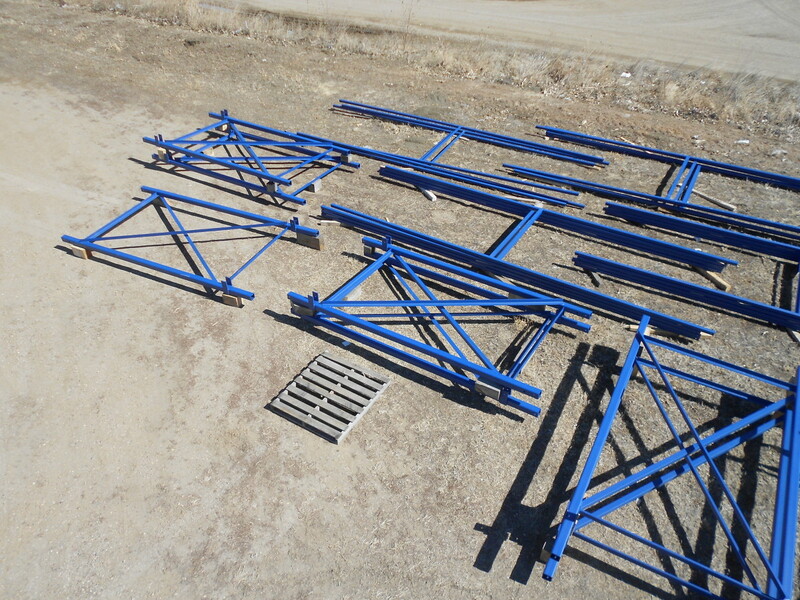 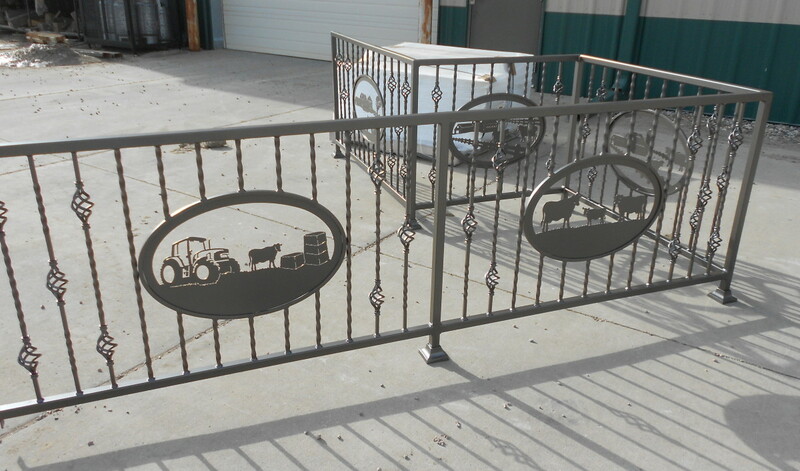 Gate racks made for a retailer to display farm gates and panel. 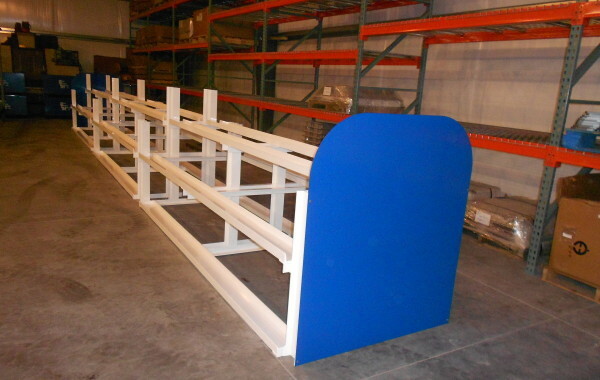 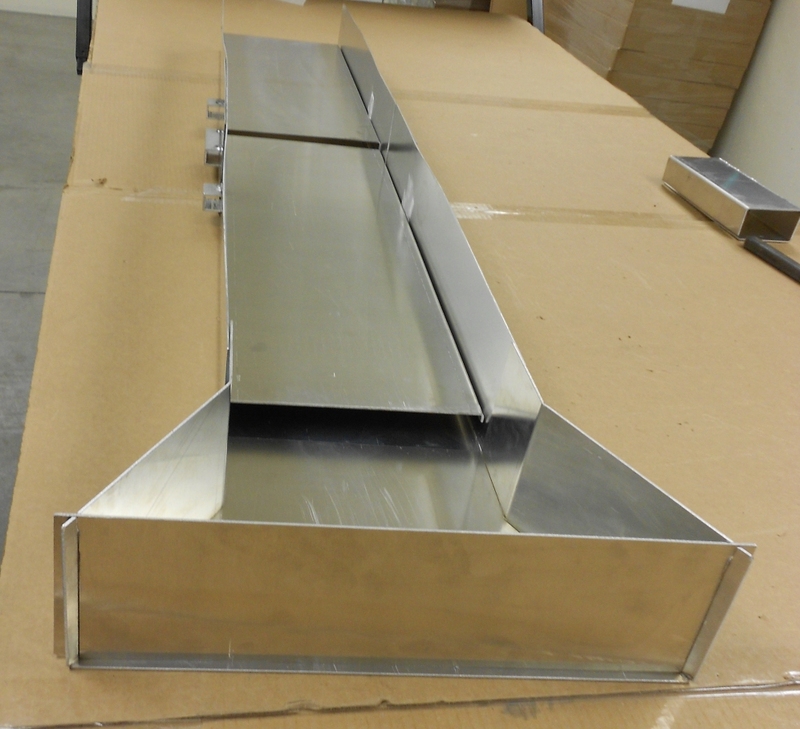 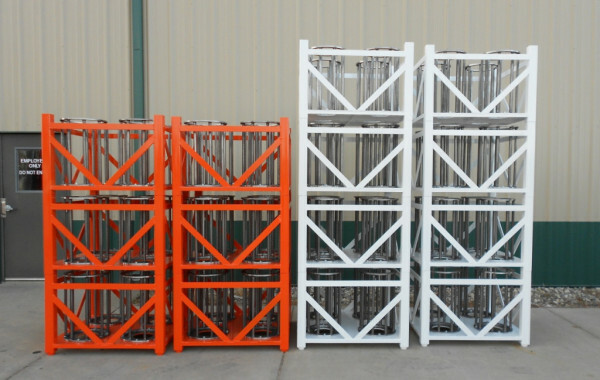 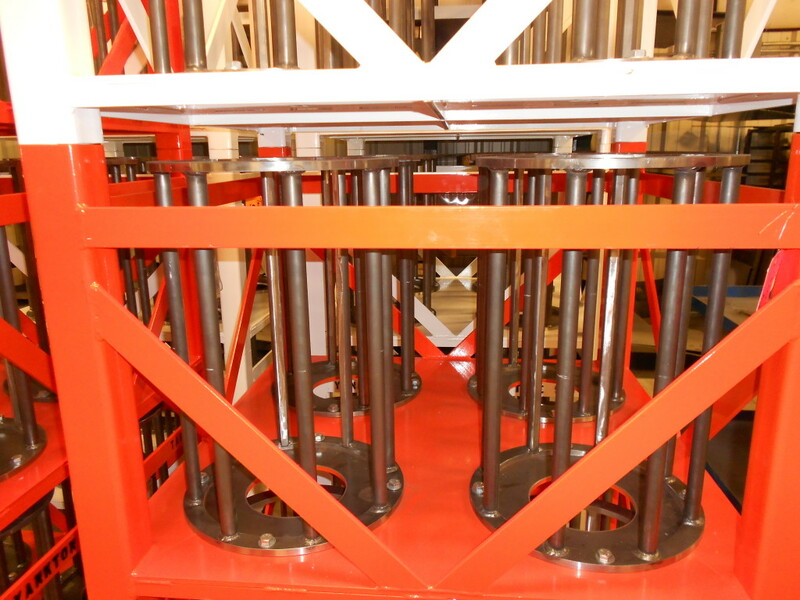 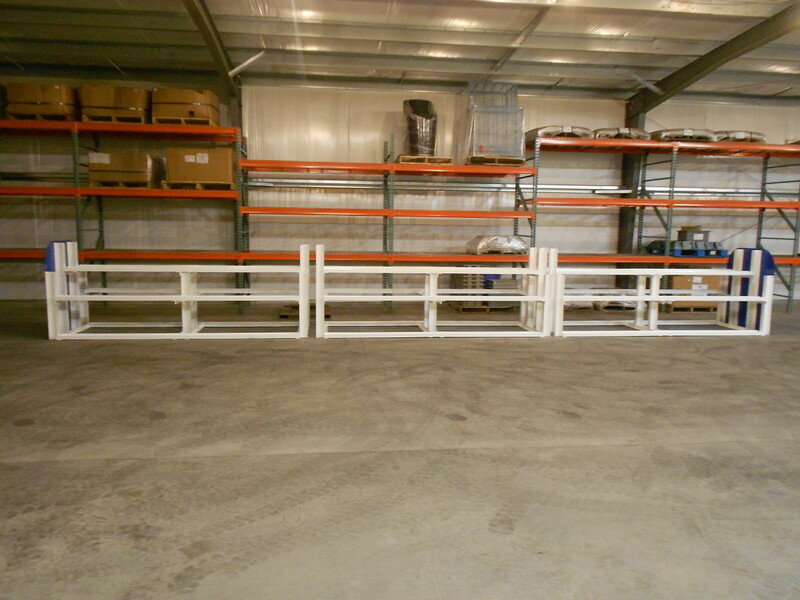 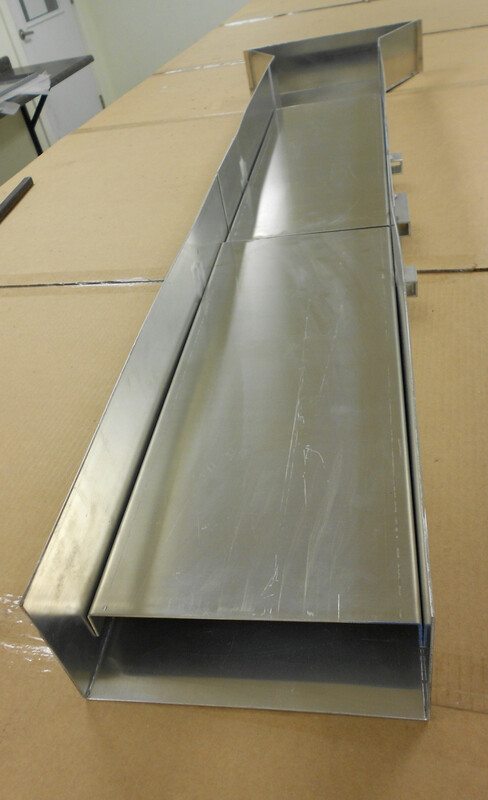 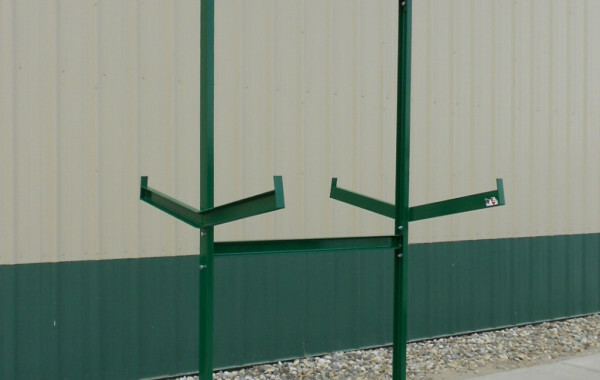 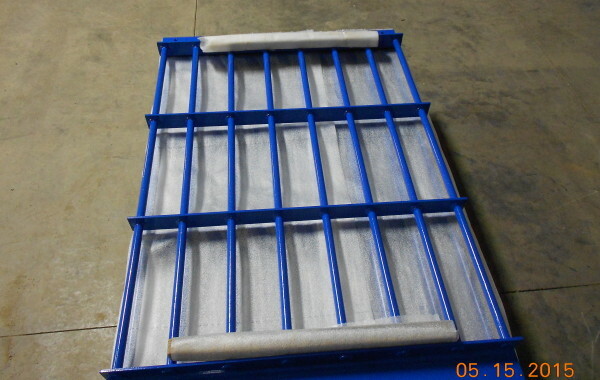 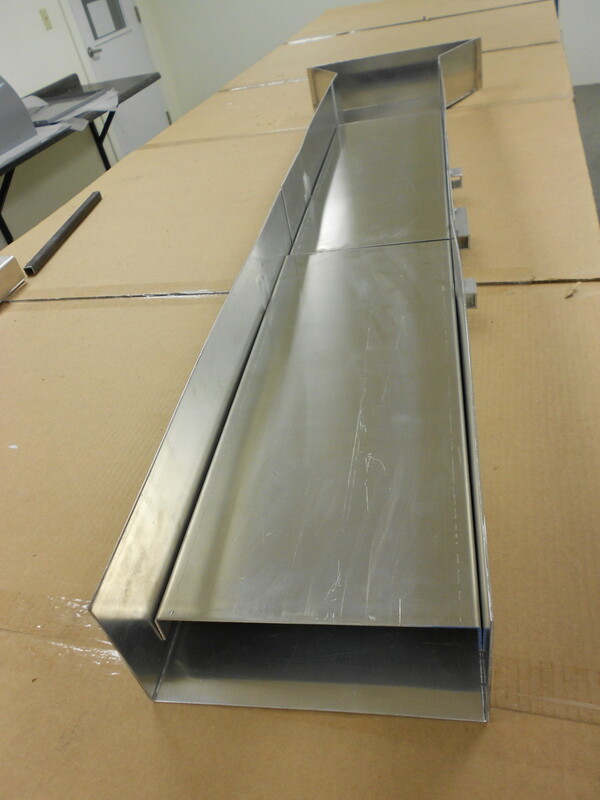 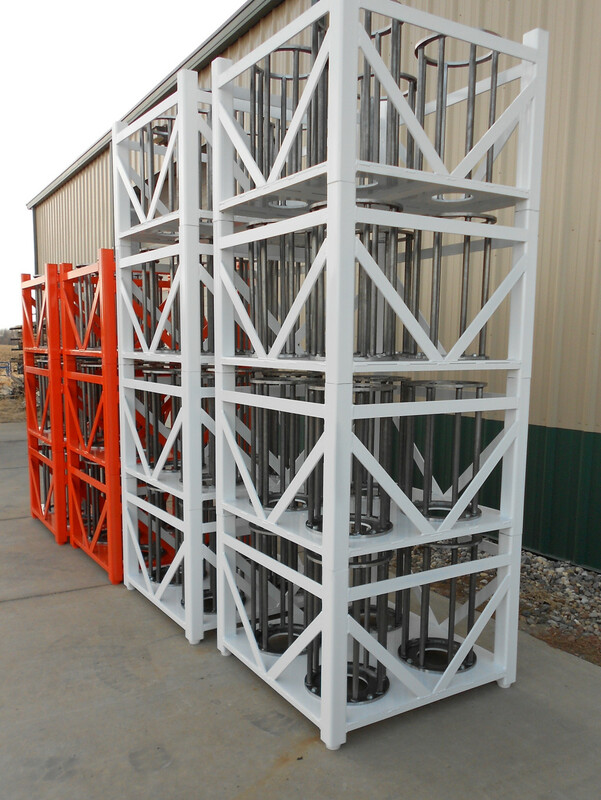 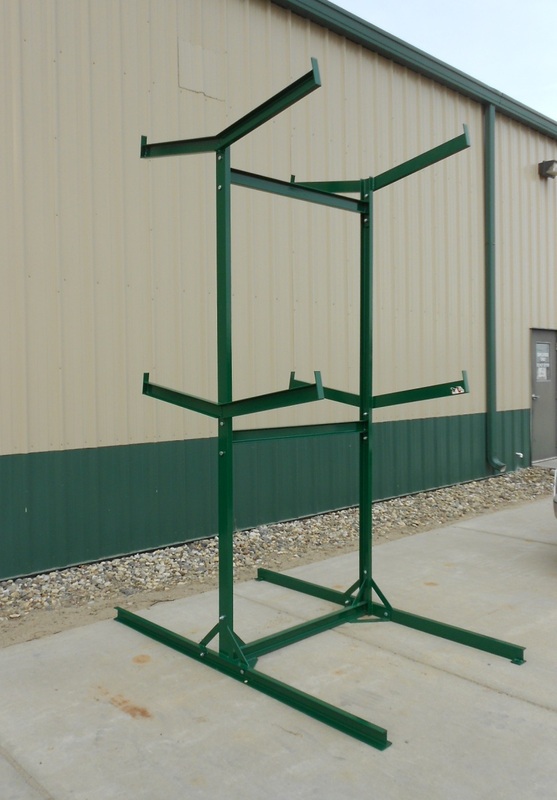 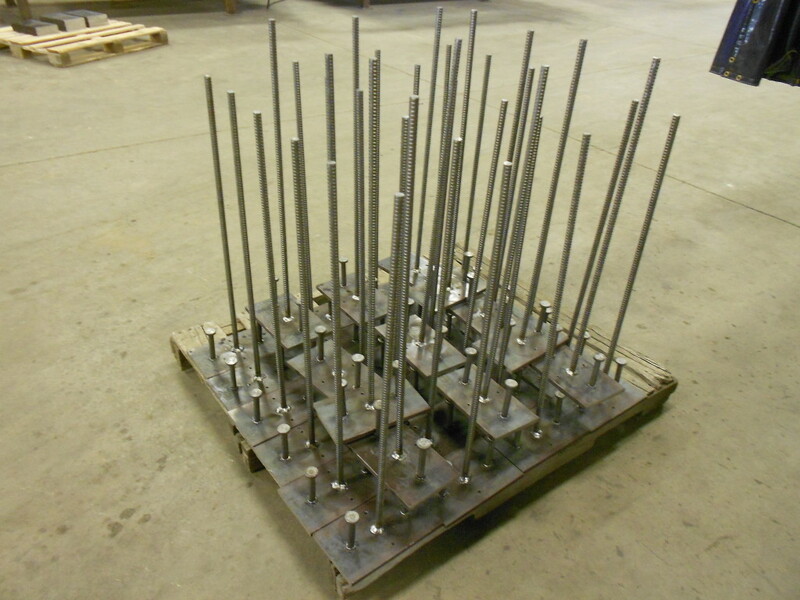 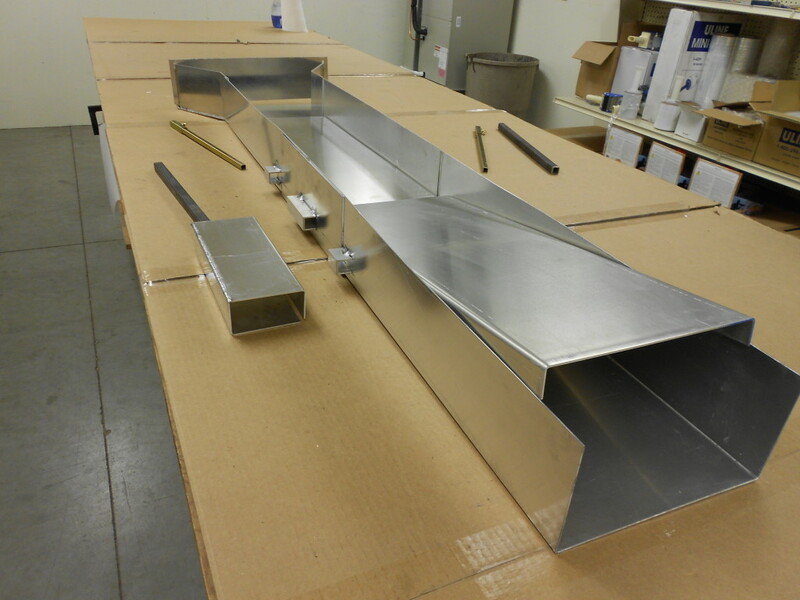 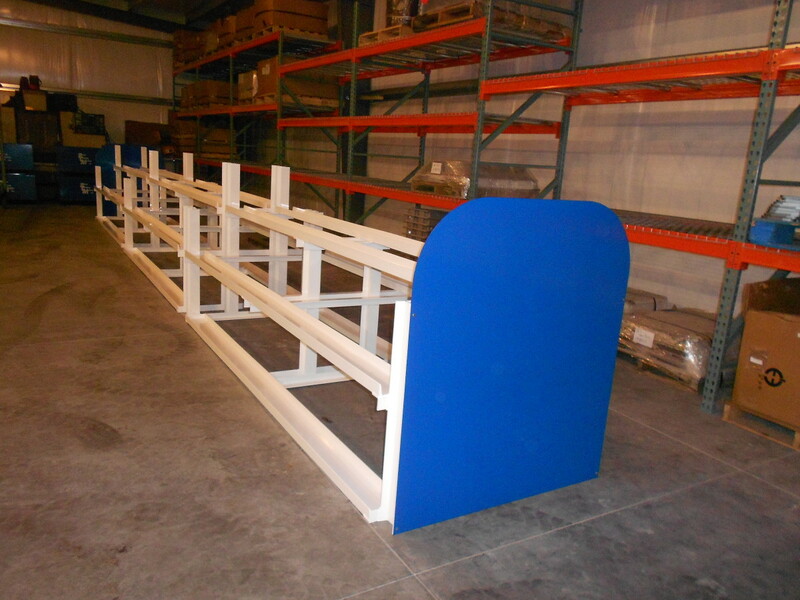 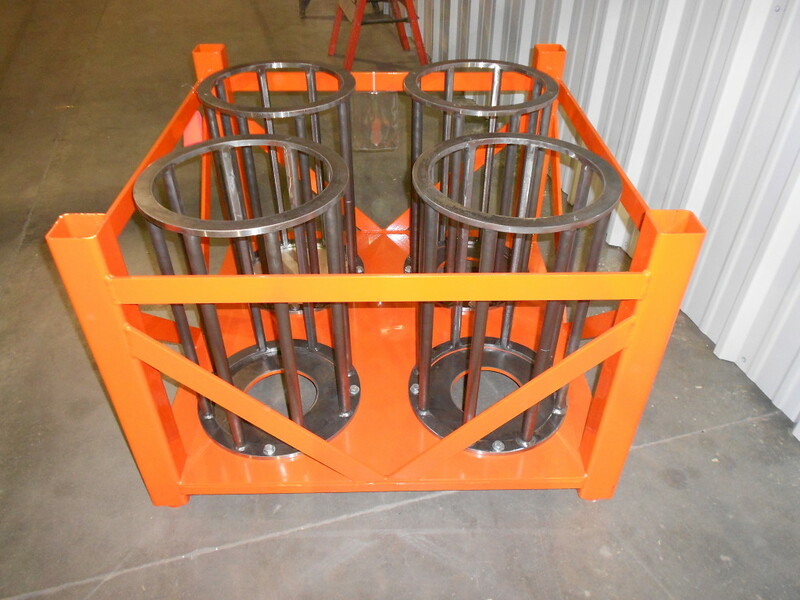 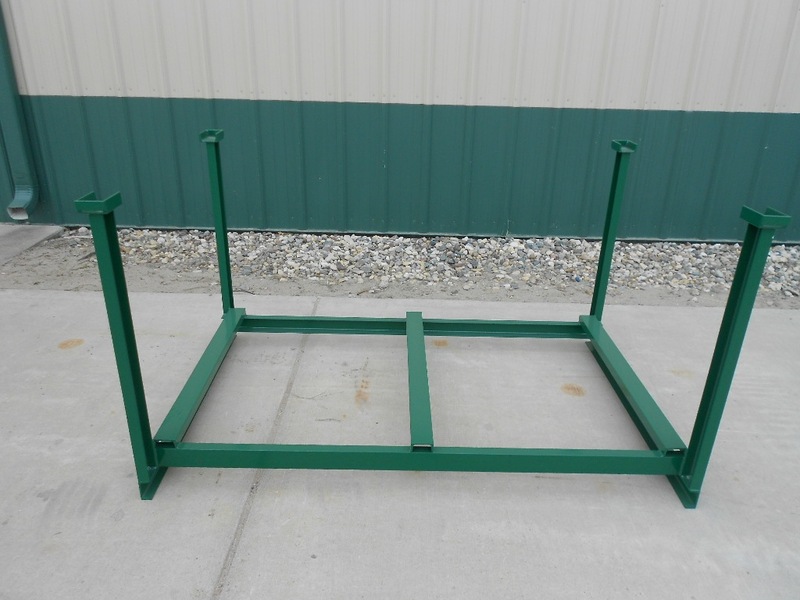 Post Rack custom fabricated for retailer to display wood posts. 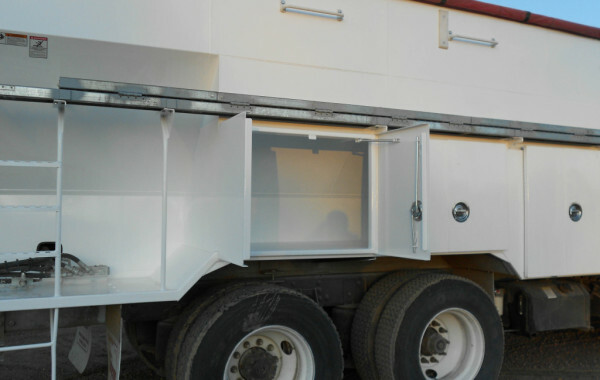 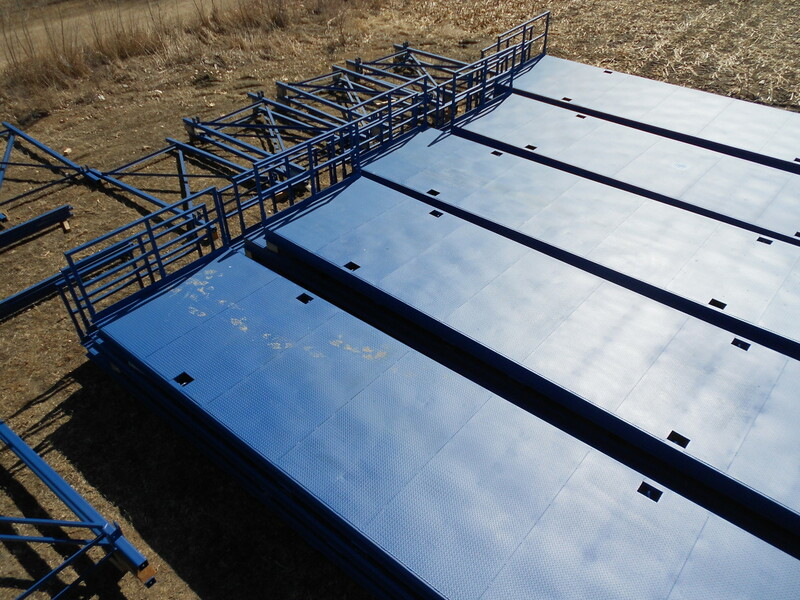 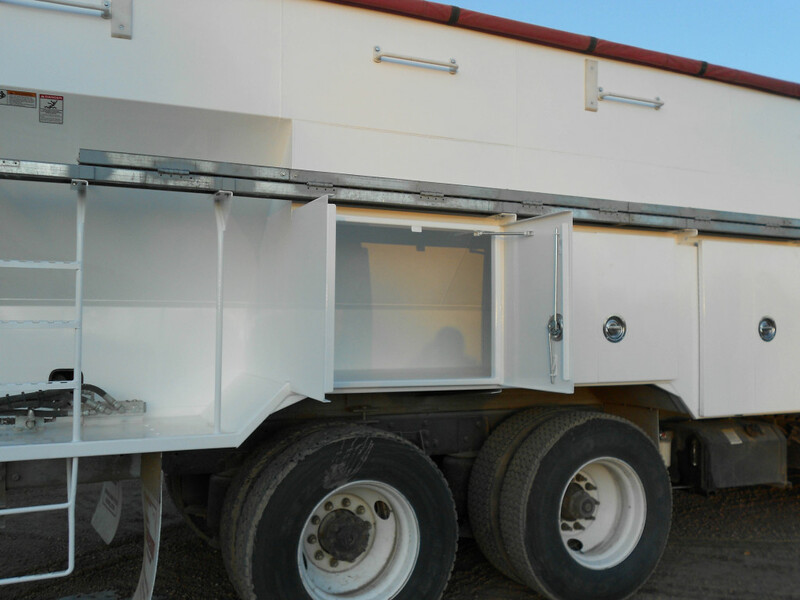 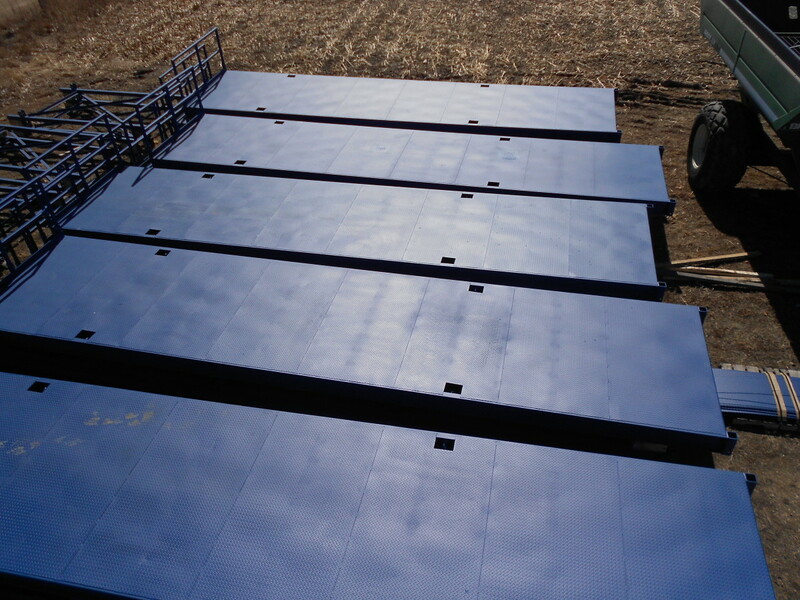 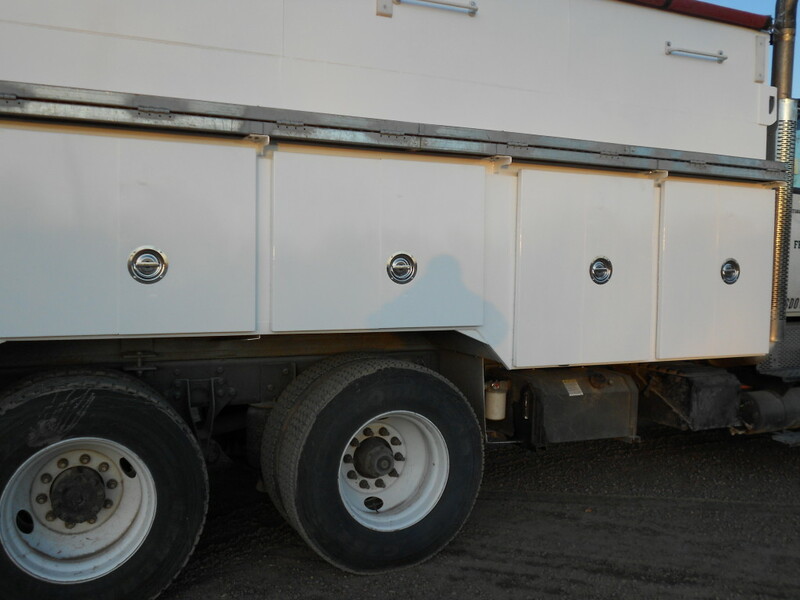 Custom storage and catwalk created for a grain truck. 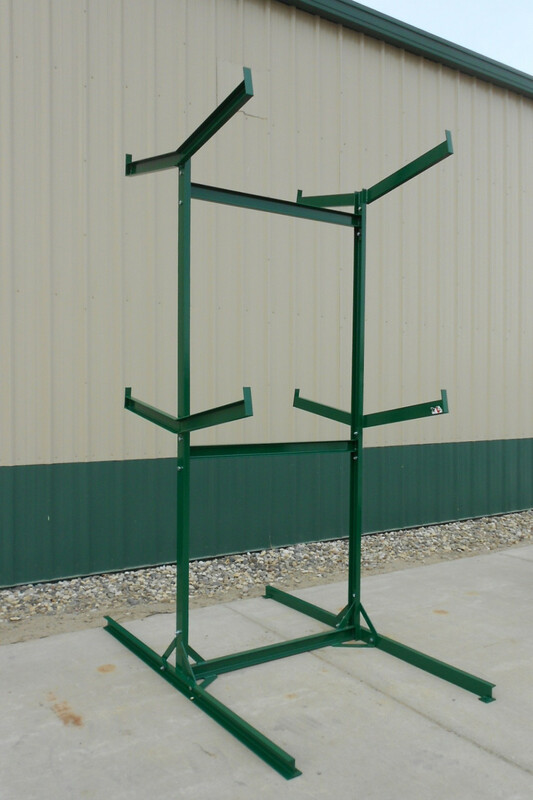 Custom cart rack for retailer. 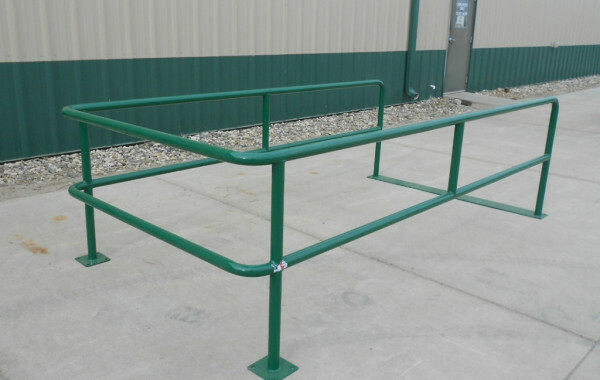 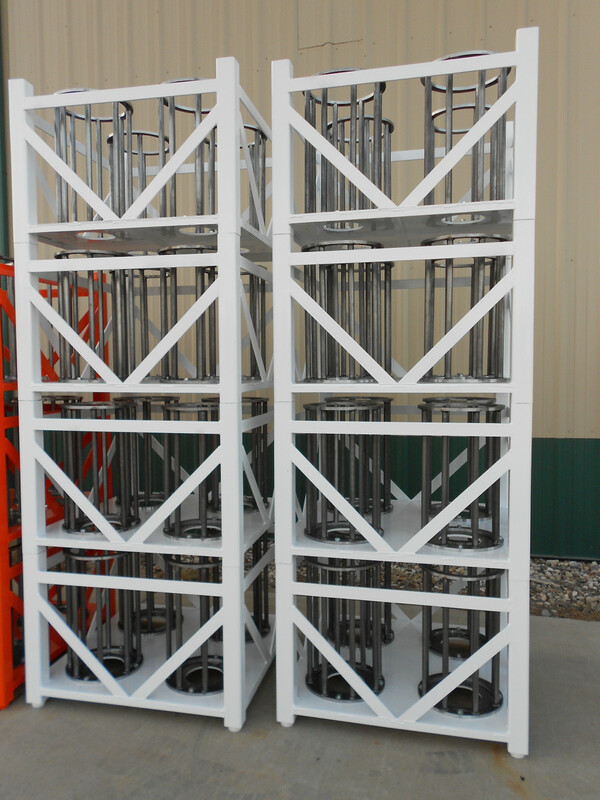 Custom racks for a manufacturers product. 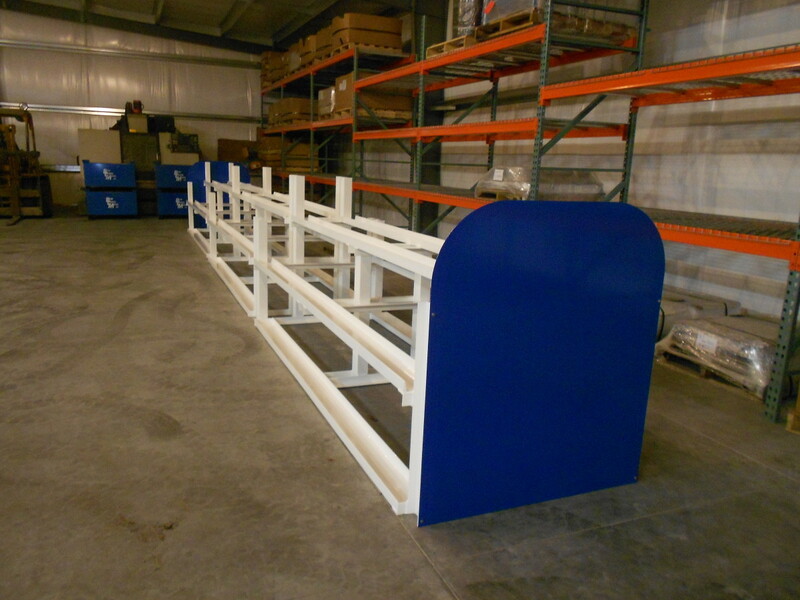 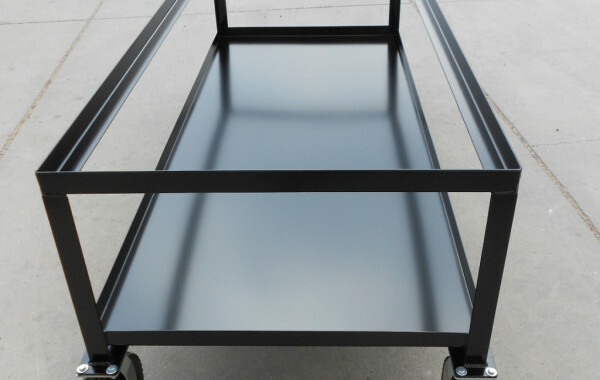 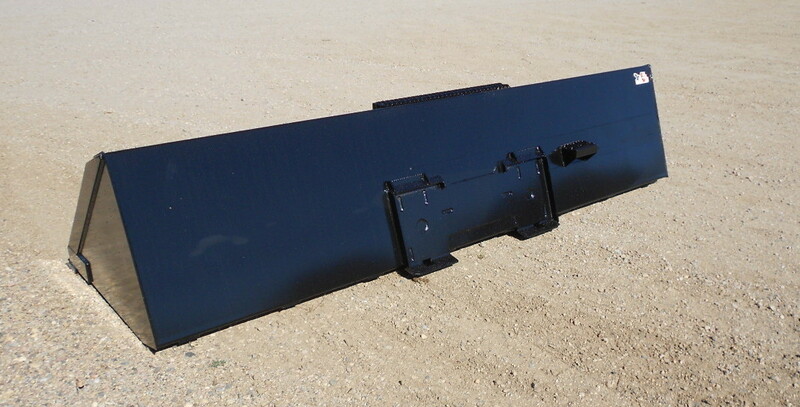 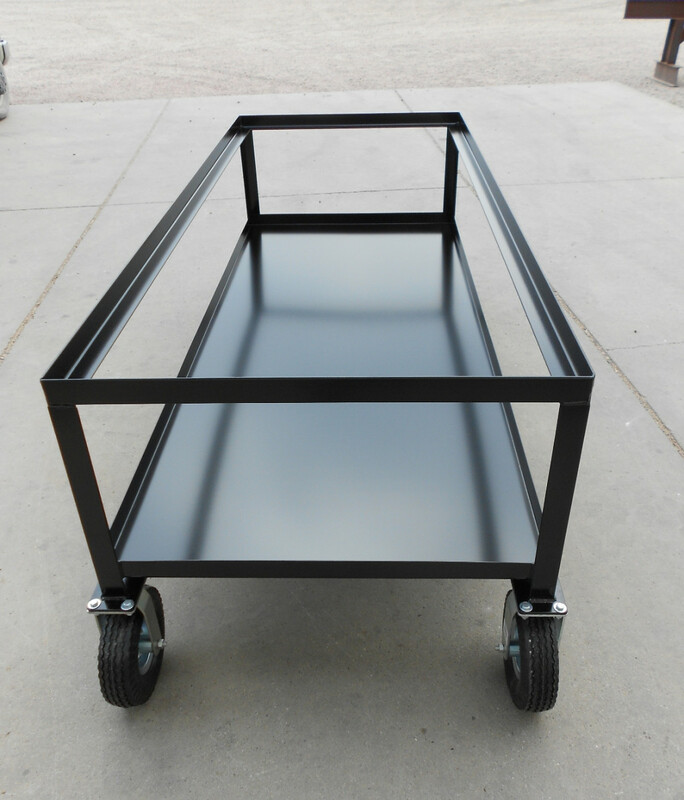 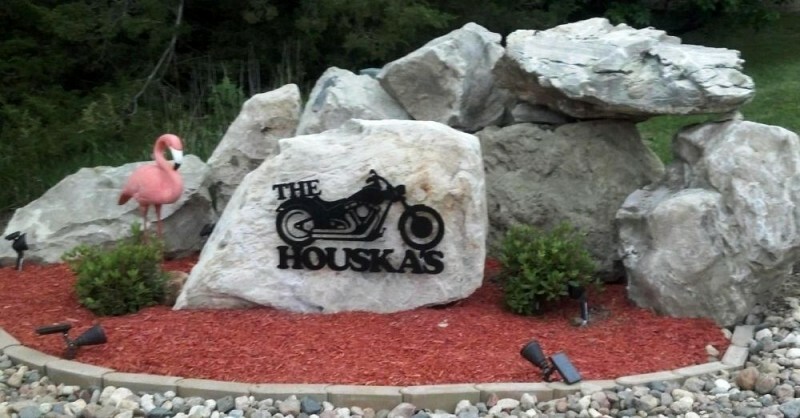 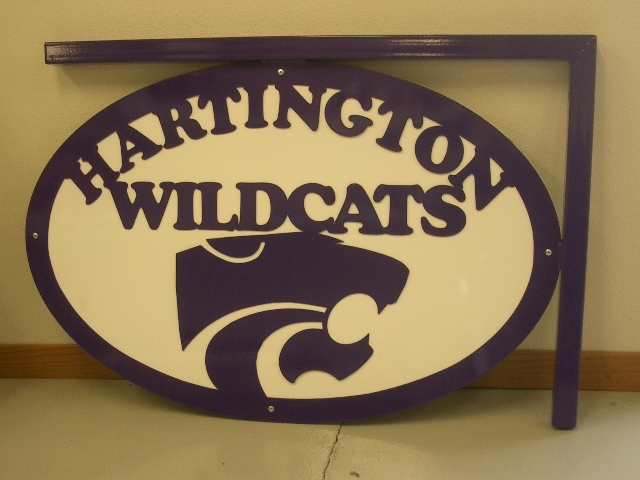 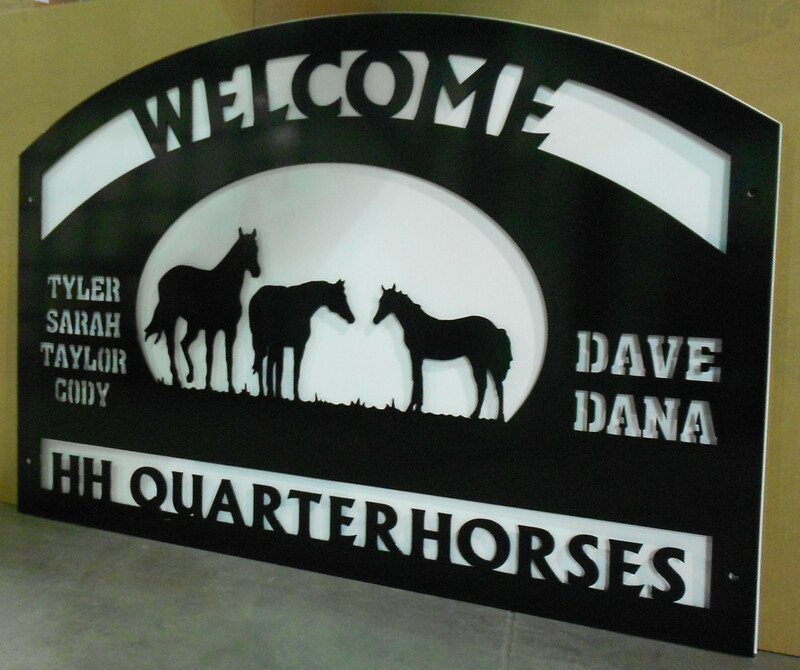 Fabricated and Powder coated to specifications.